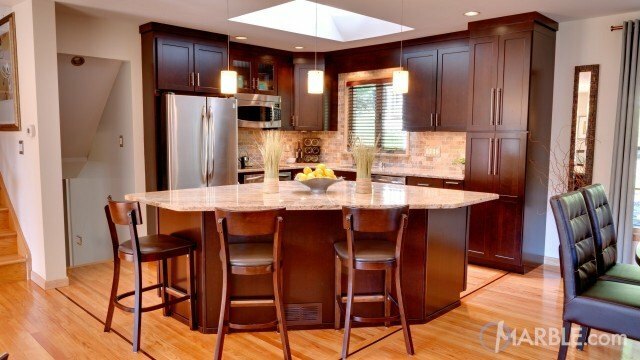 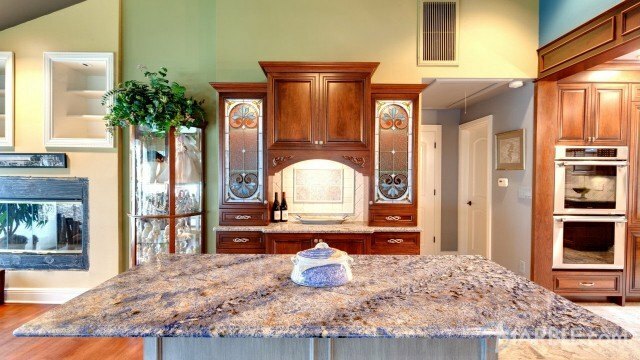 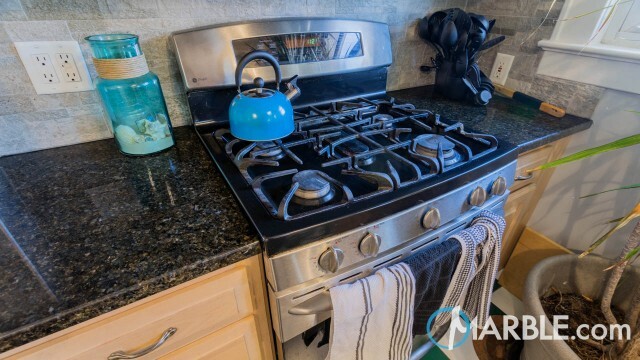 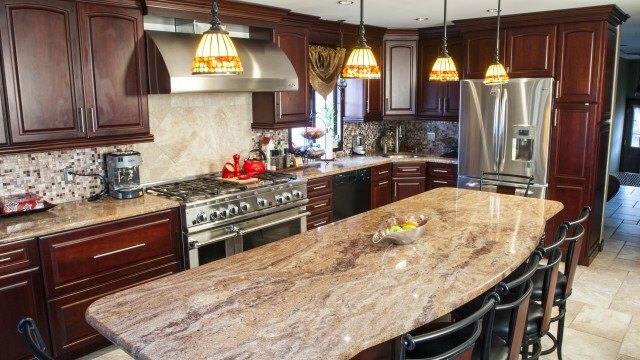 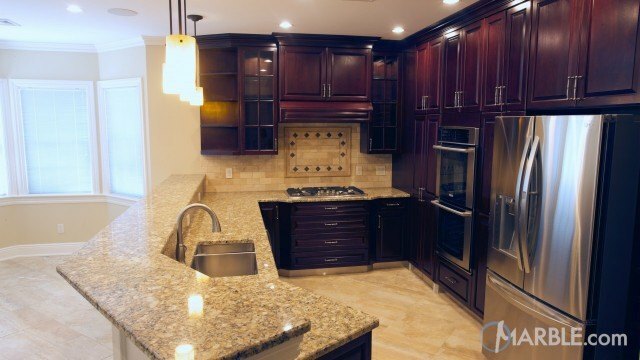 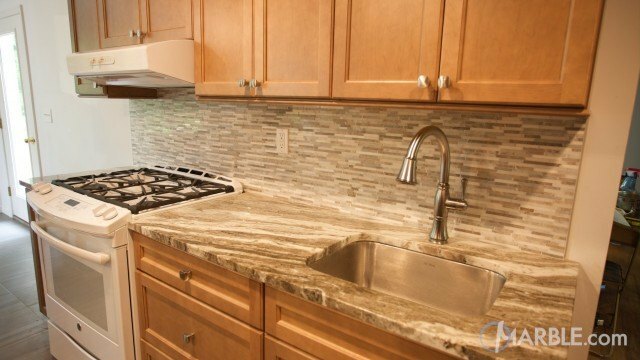 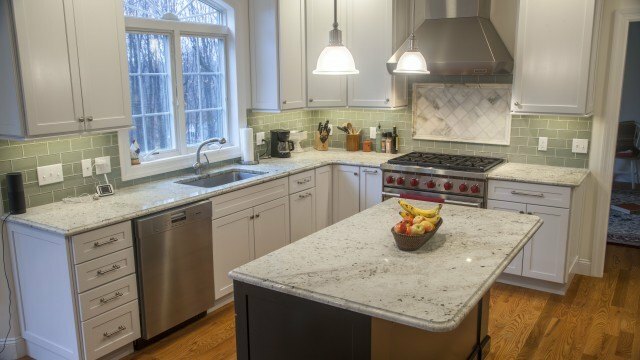 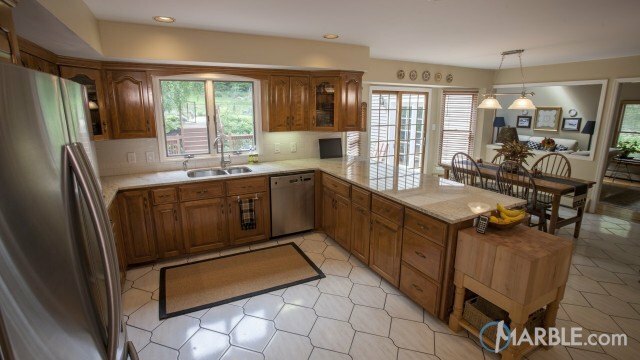 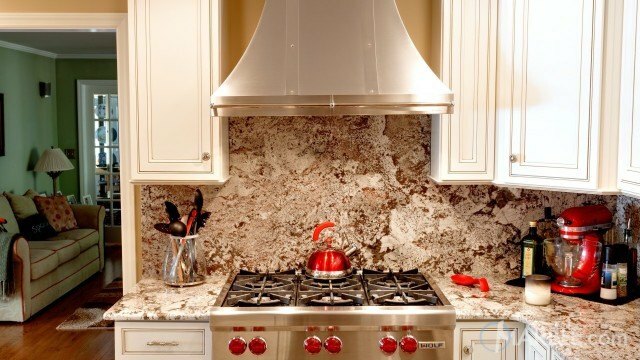 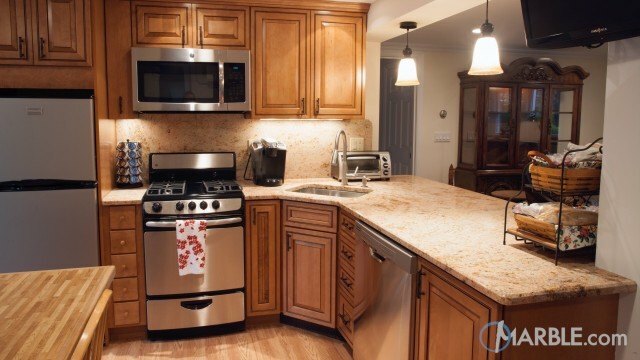 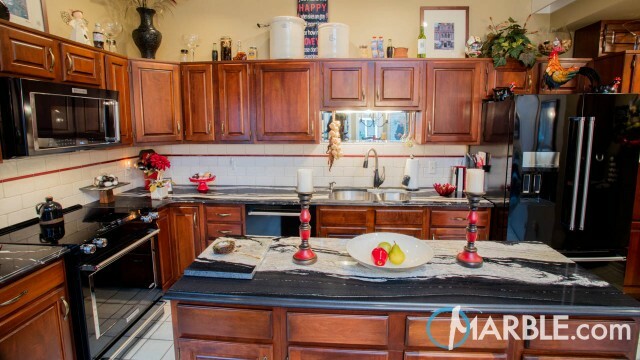 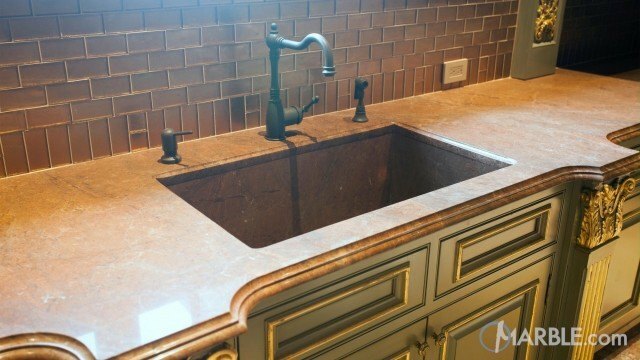 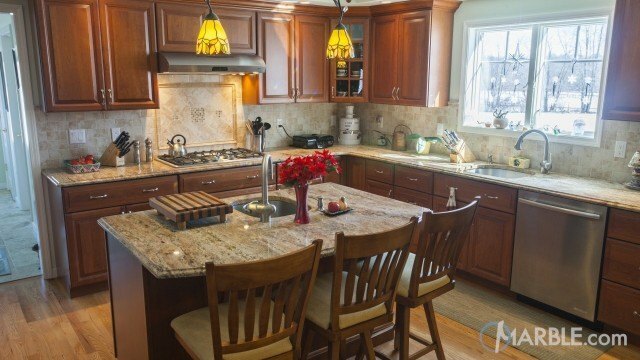 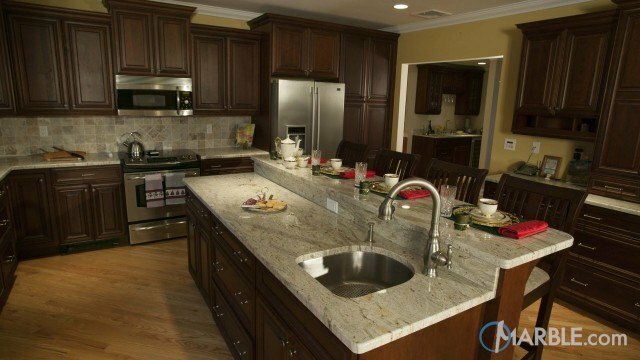 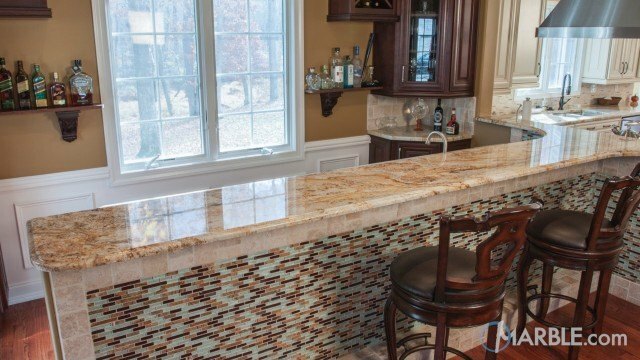 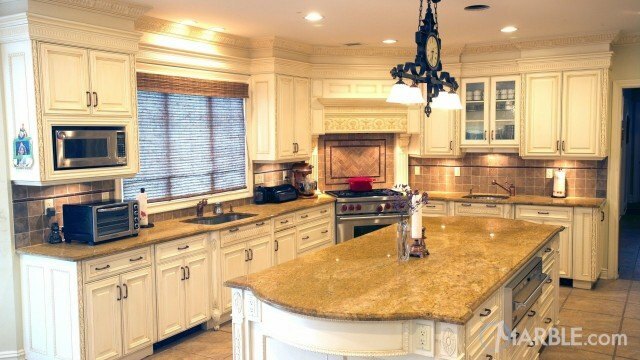 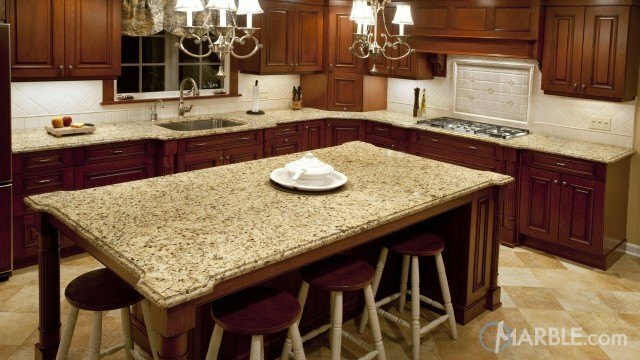 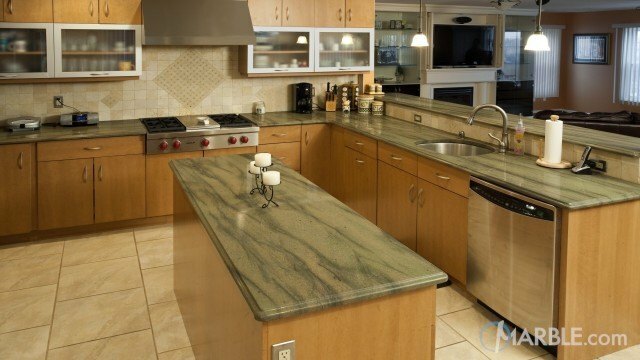 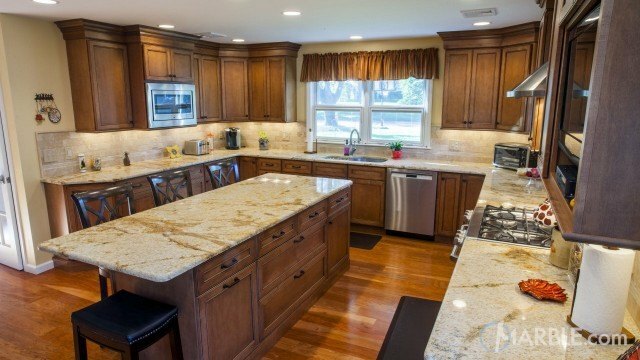 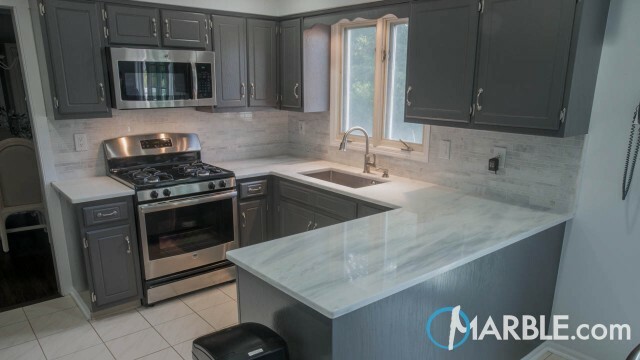 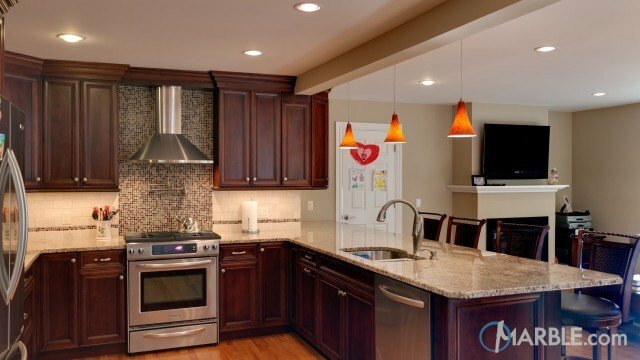 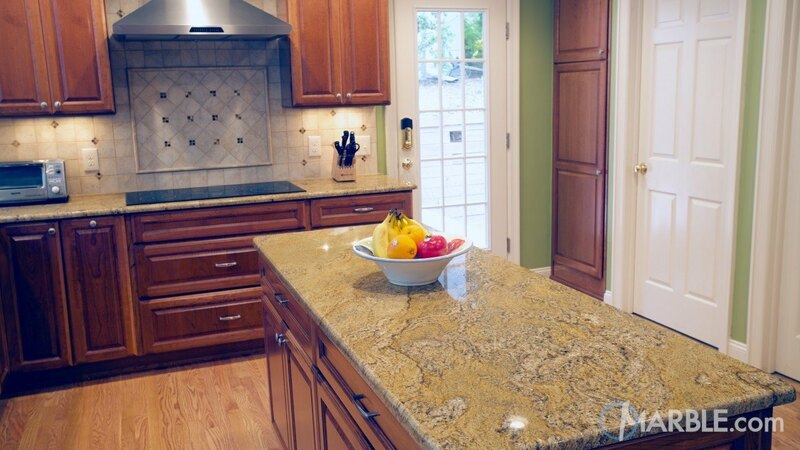 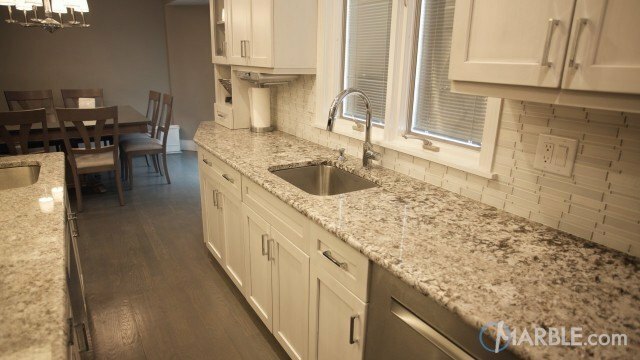 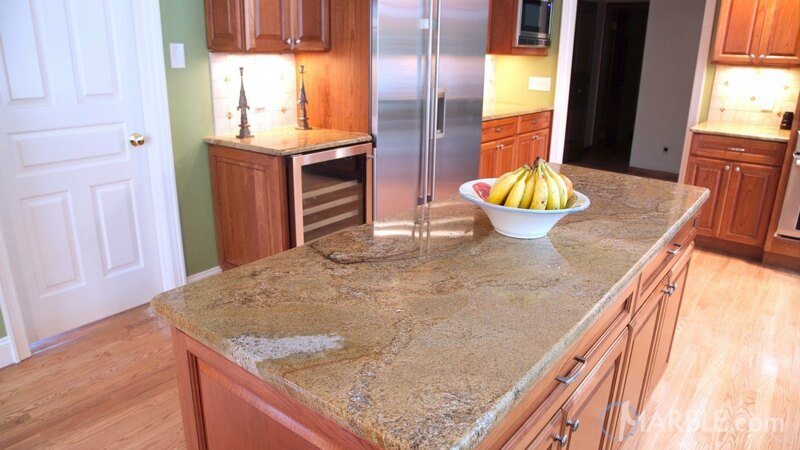 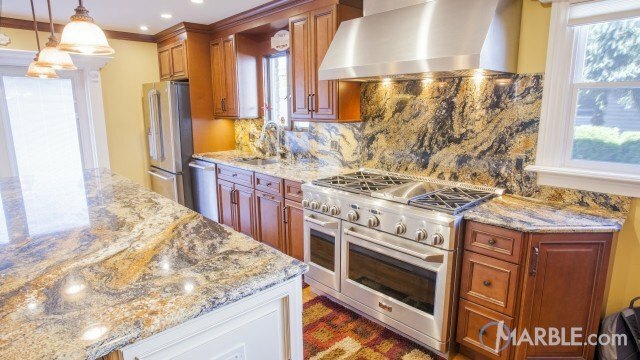 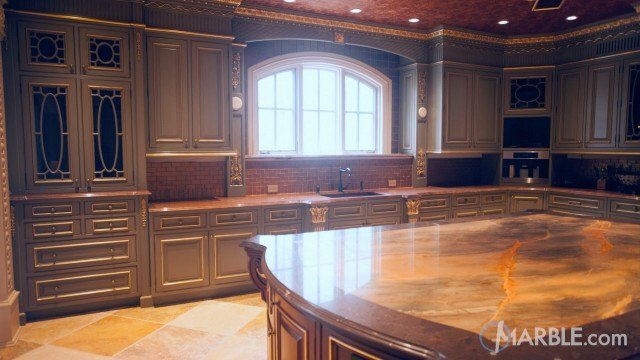 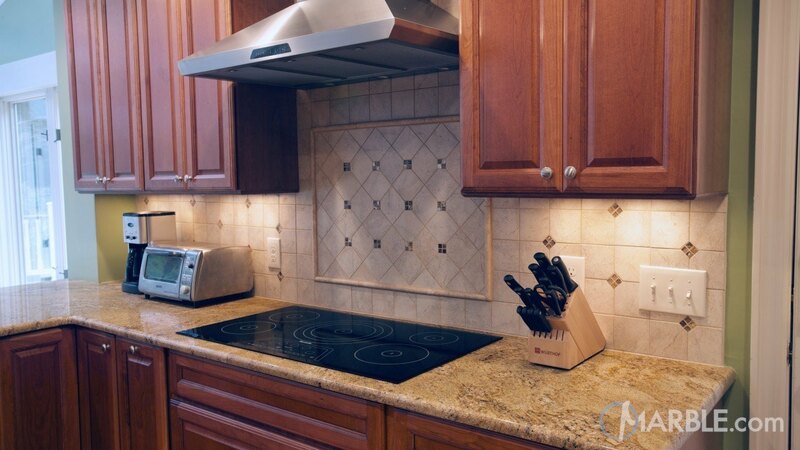 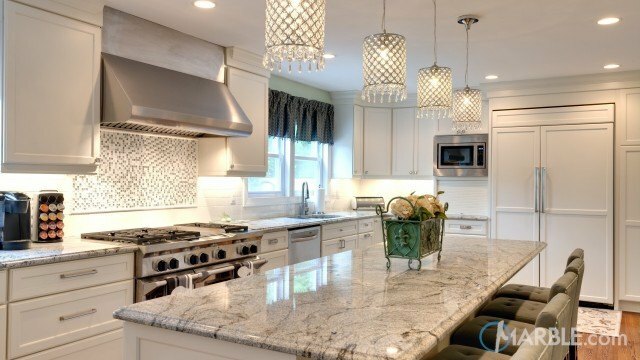 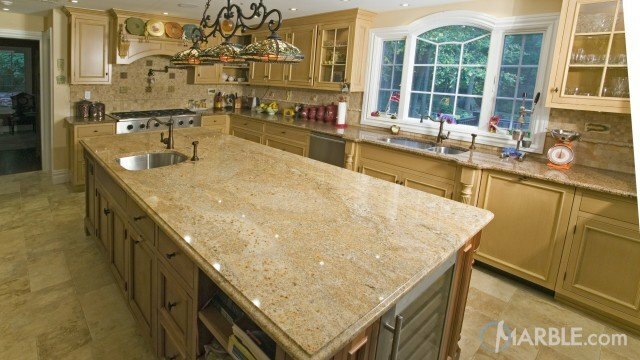 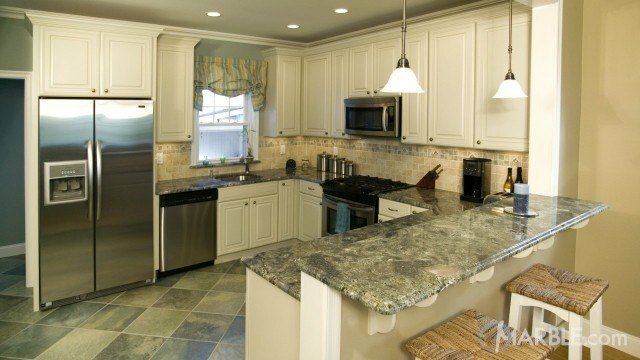 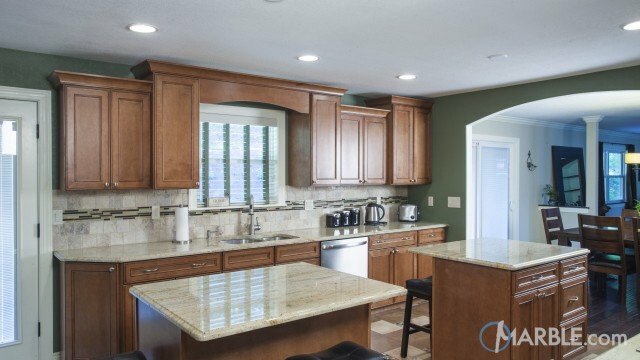 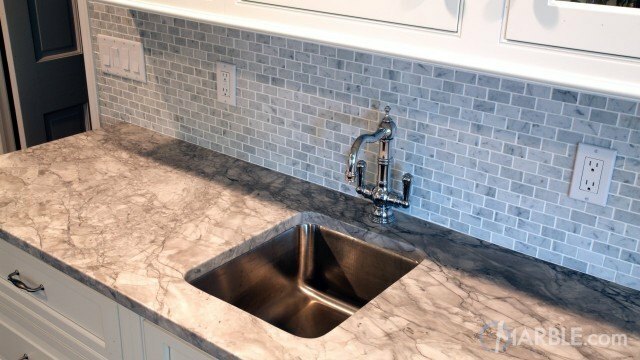 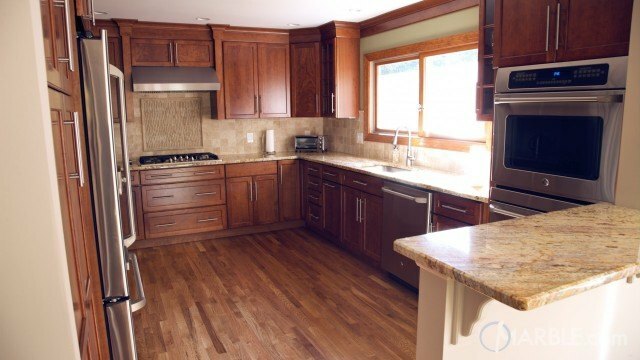 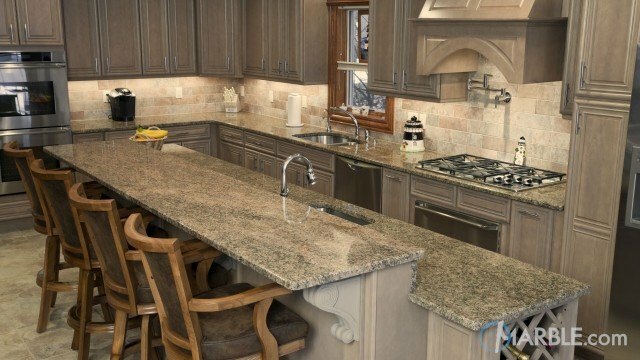 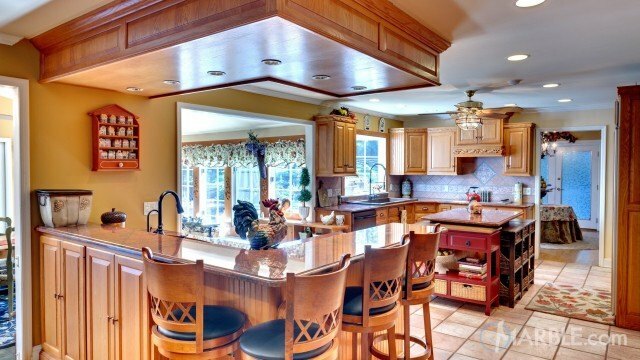 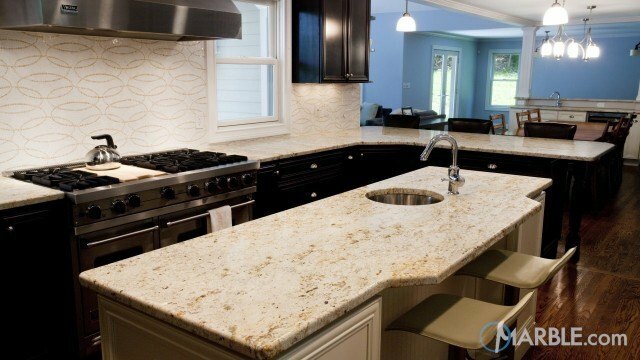 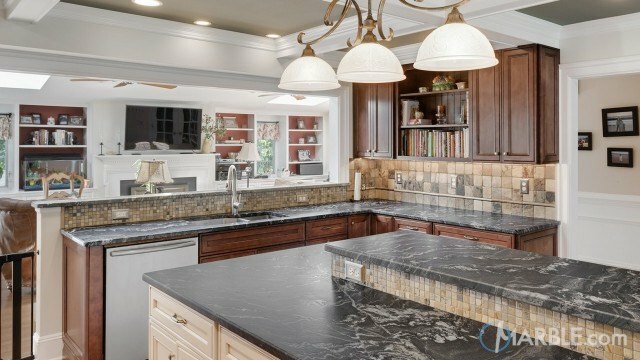 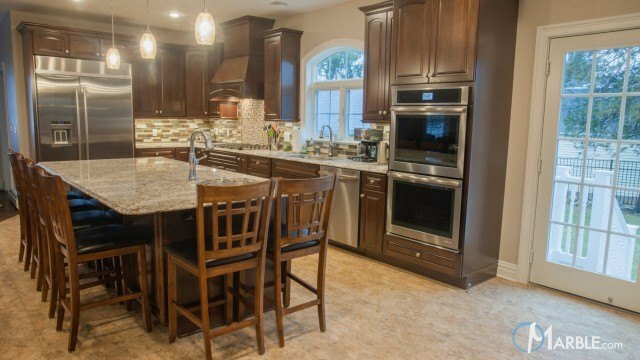 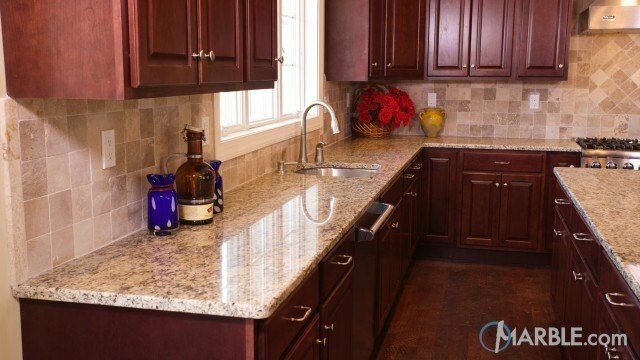 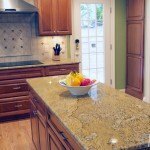 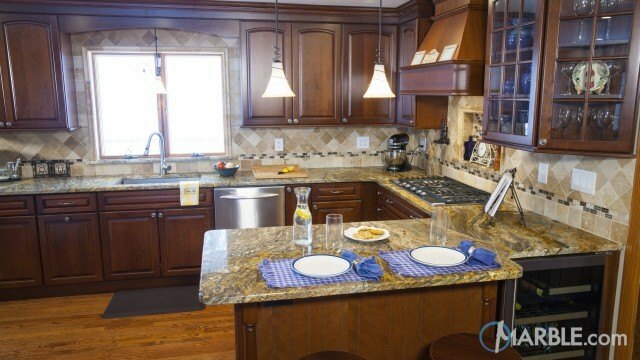 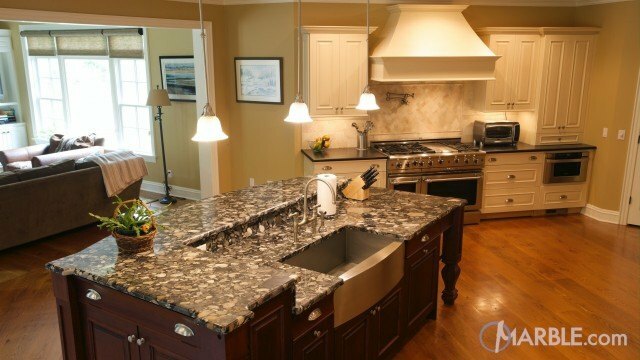 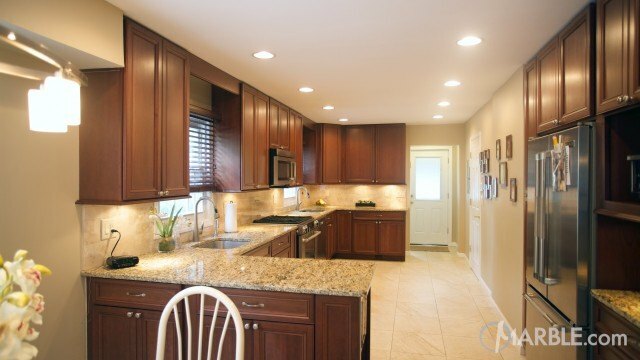 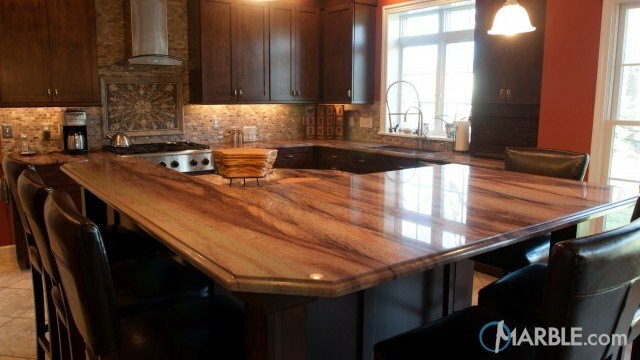 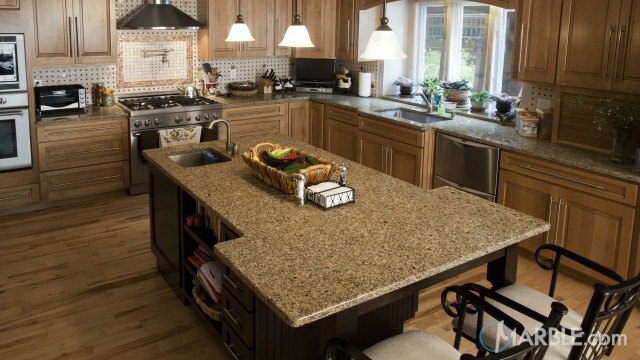 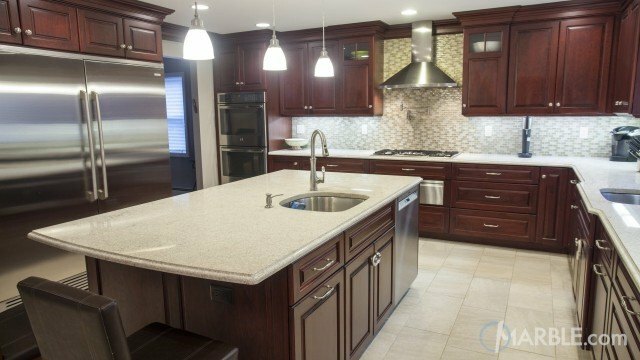 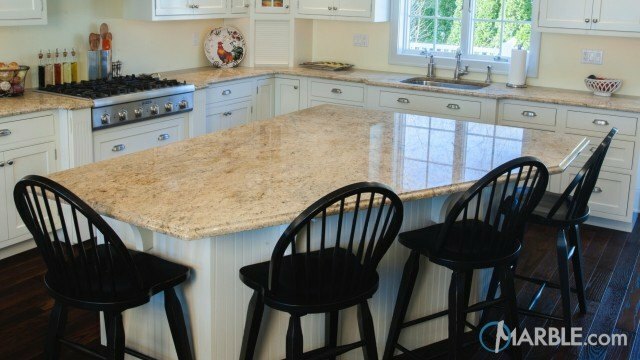 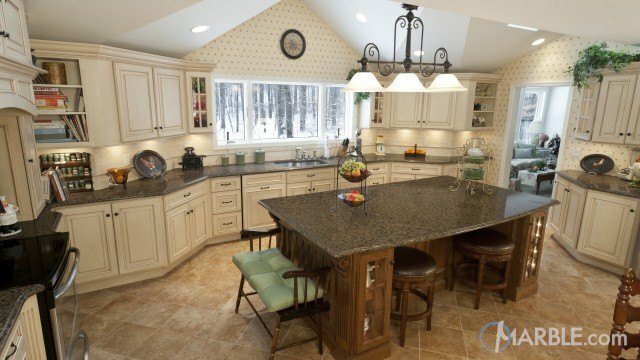 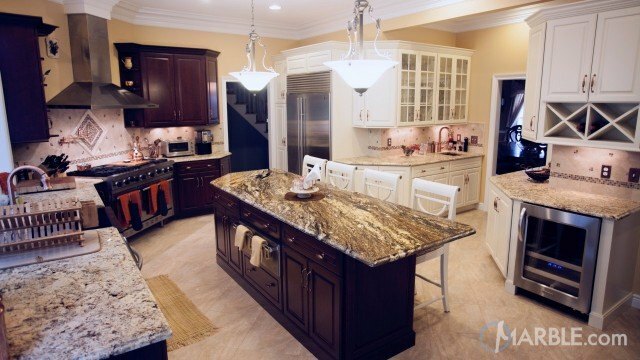 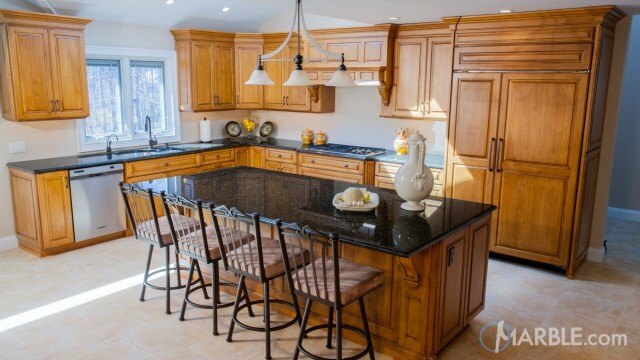 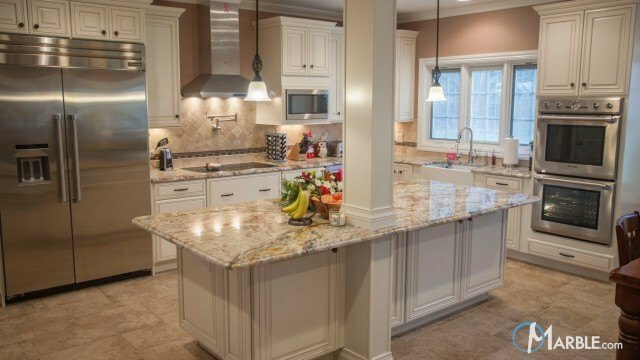 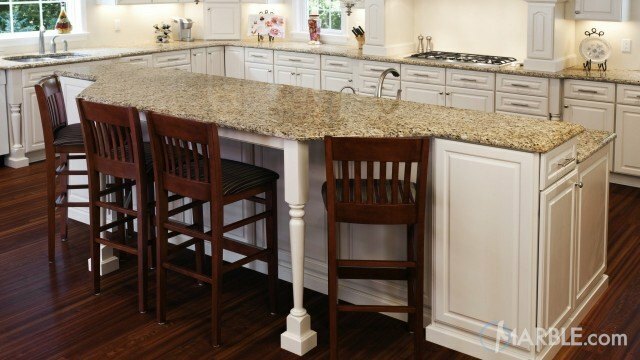 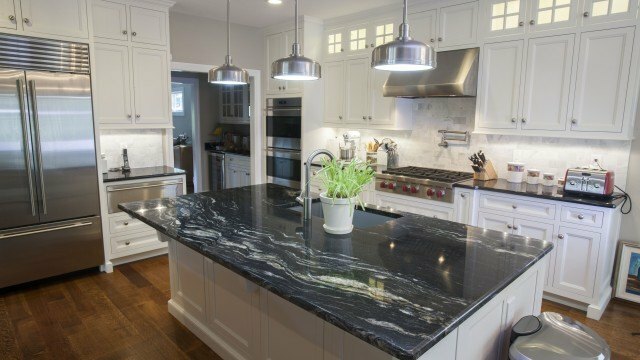 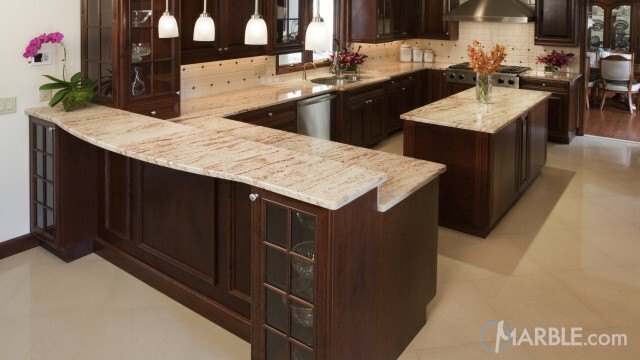 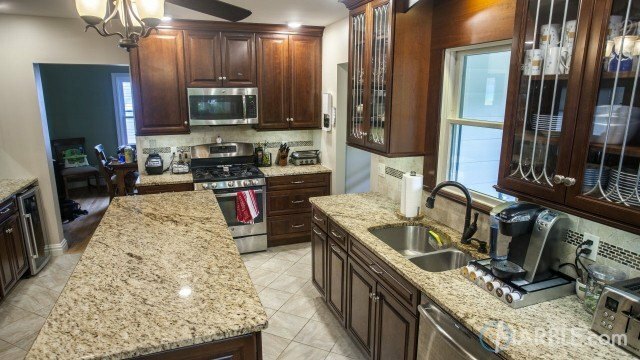 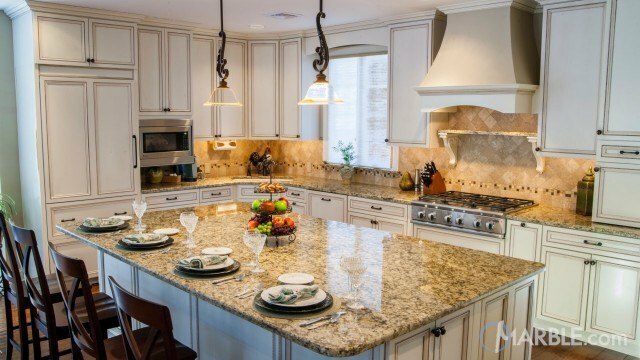 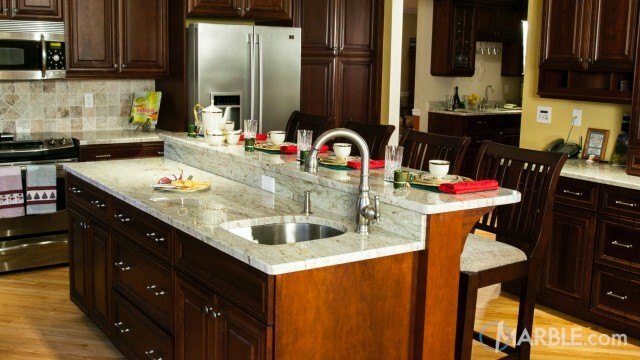 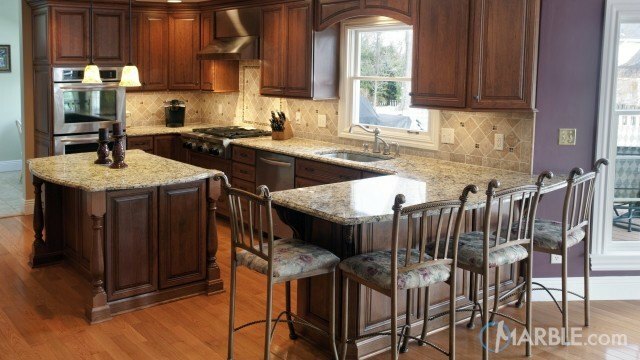 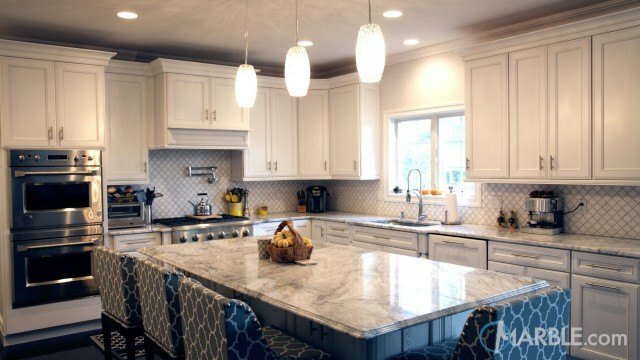 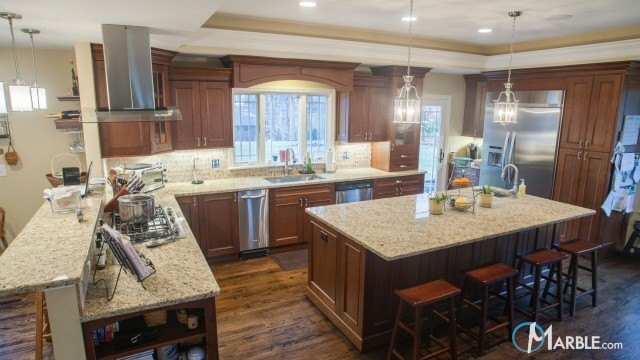 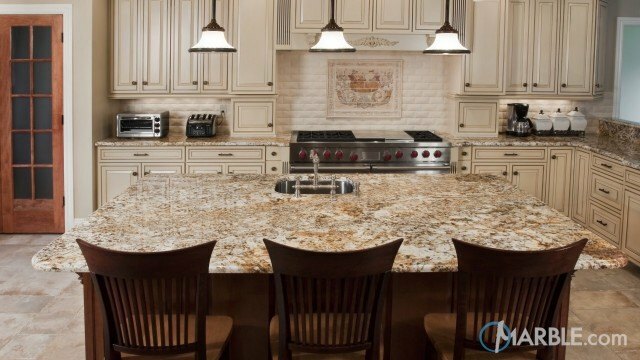 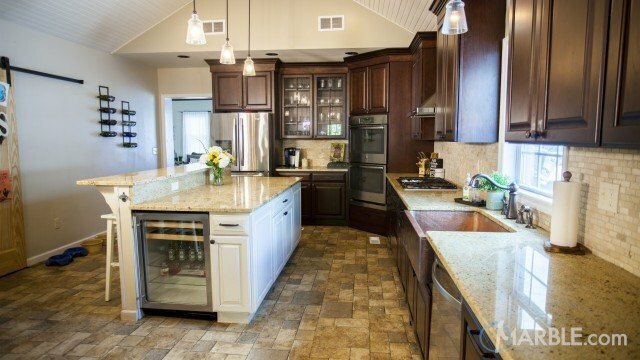 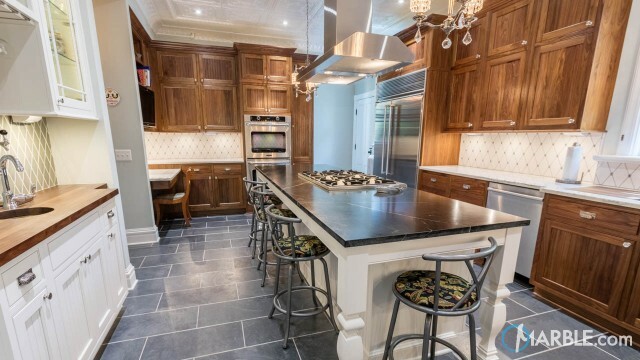 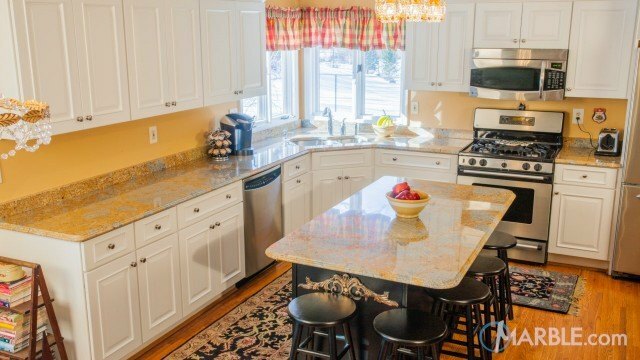 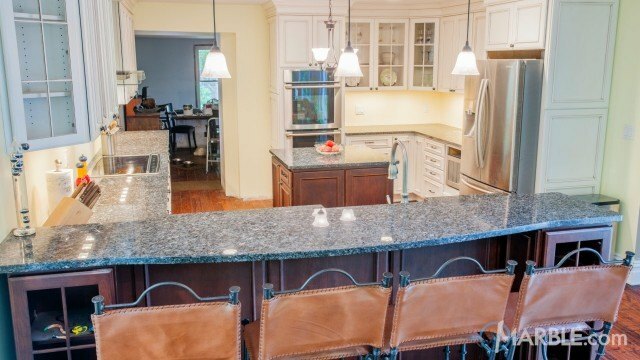 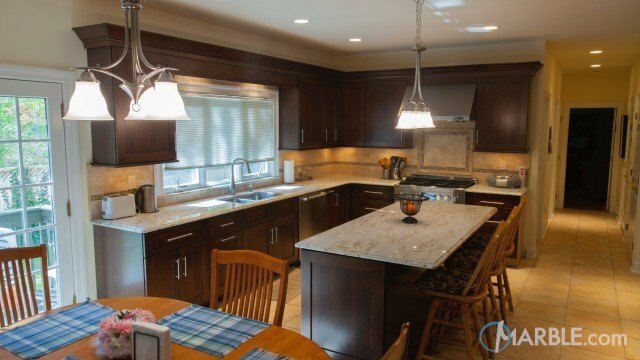 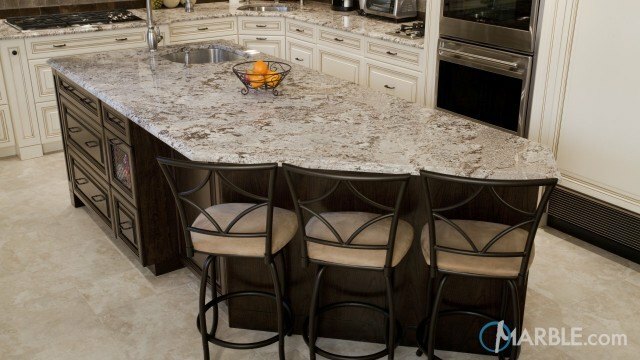 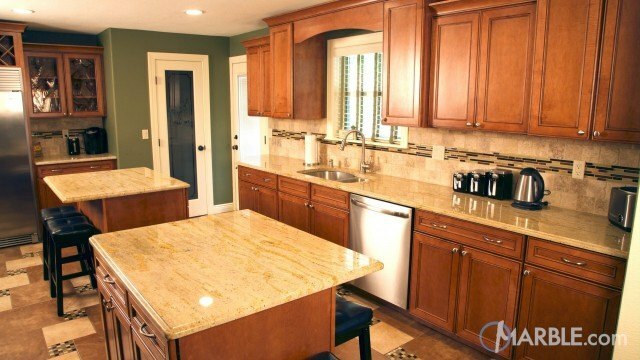 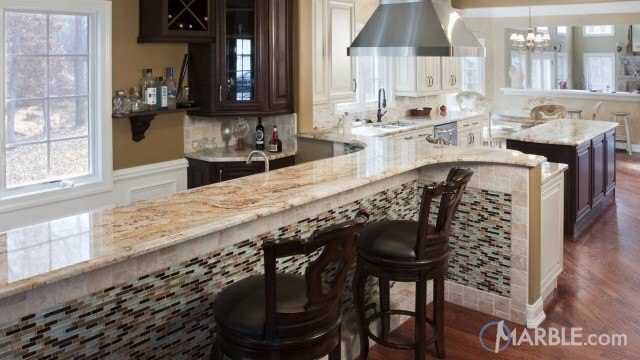 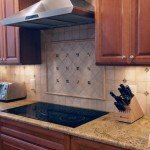 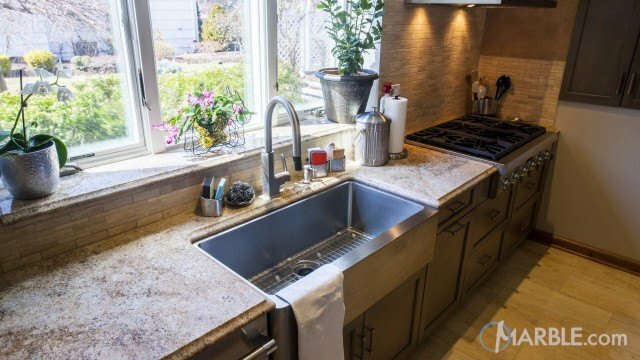 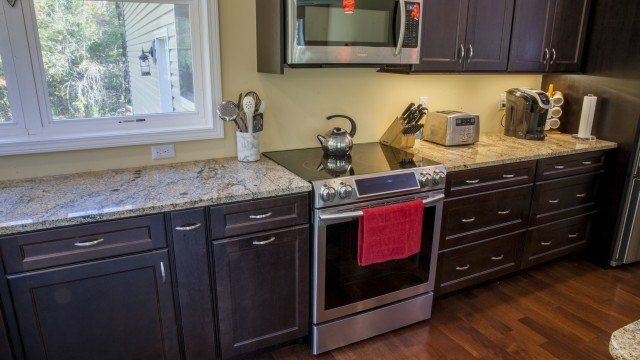 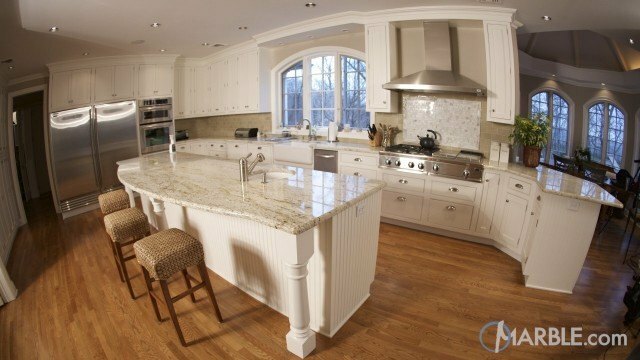 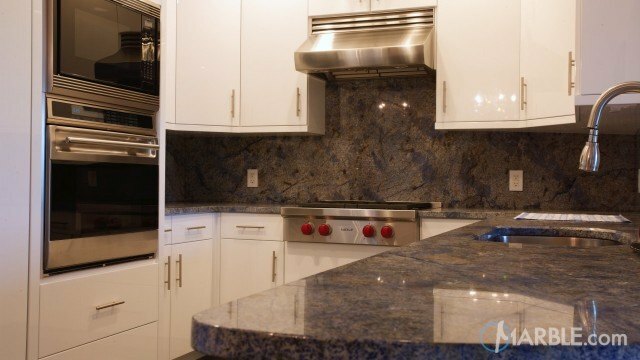 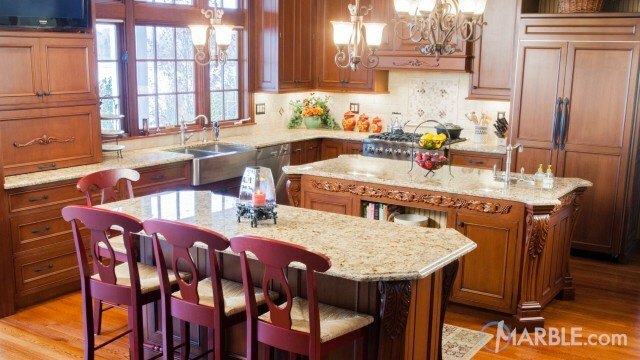 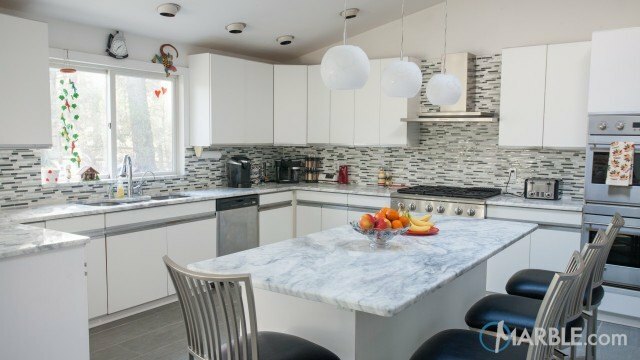 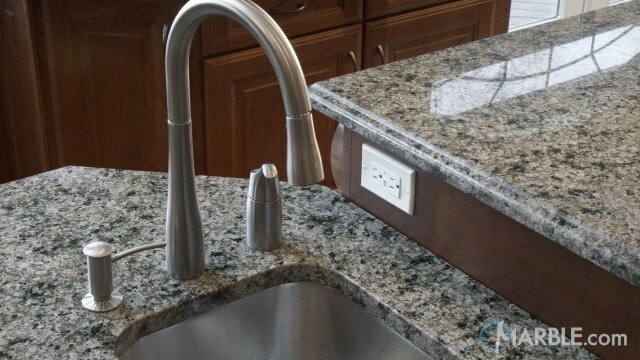 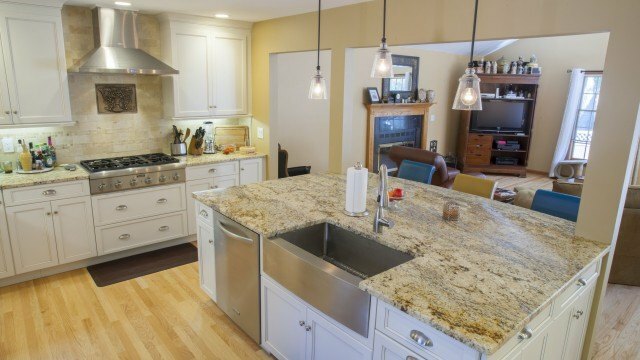 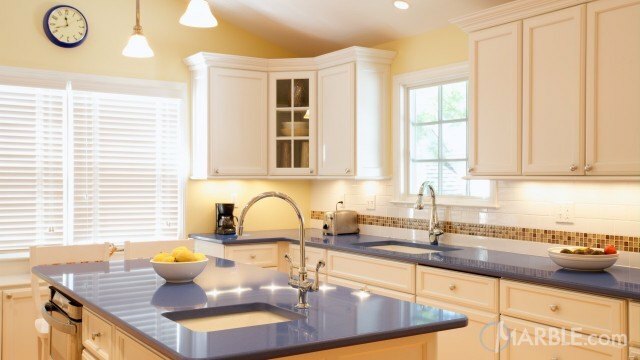 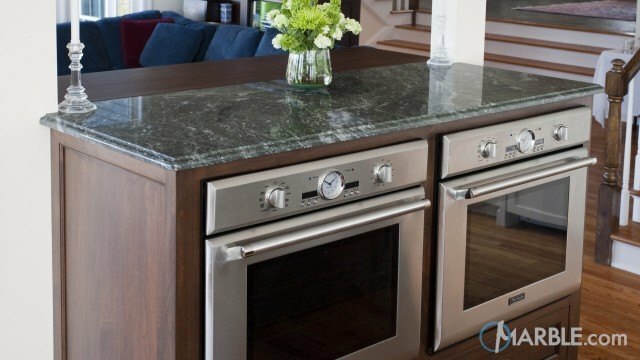 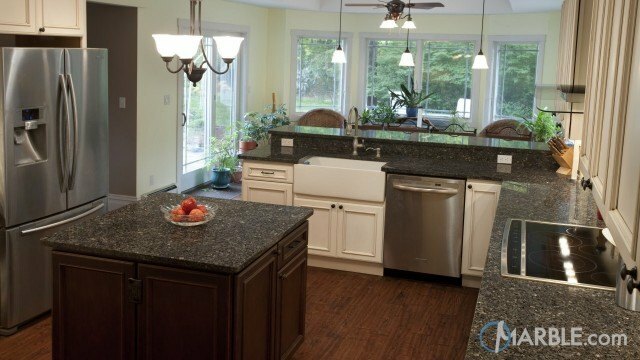 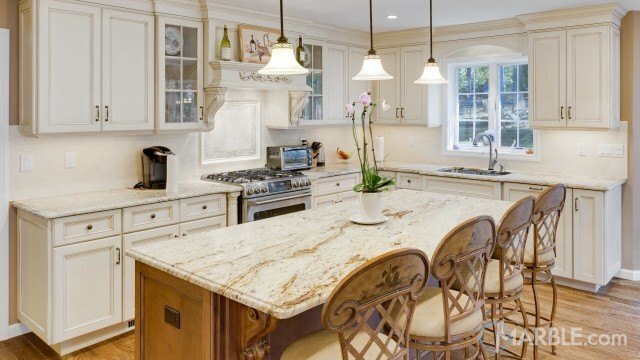 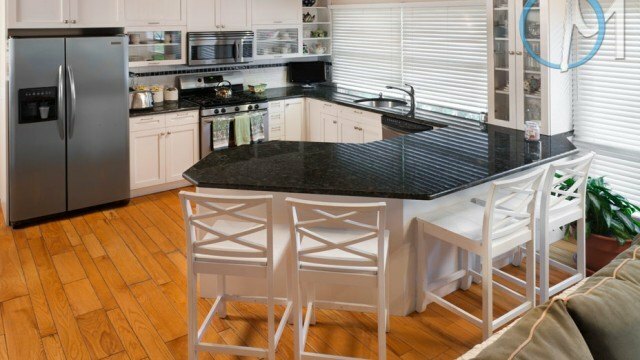 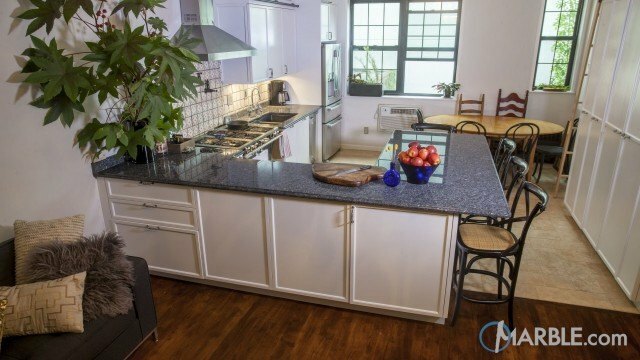 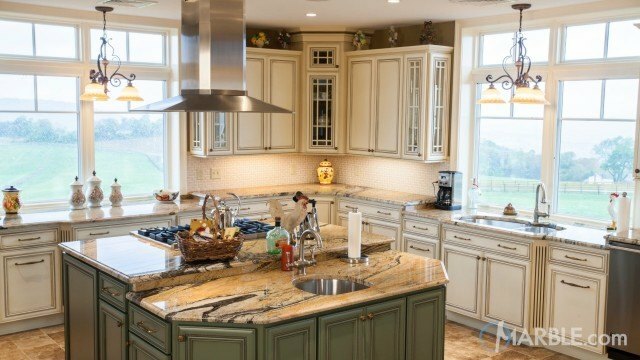 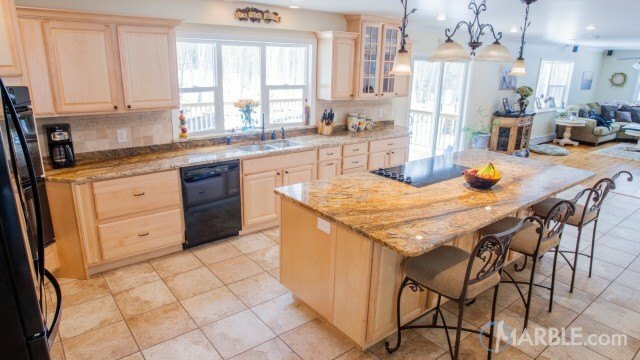 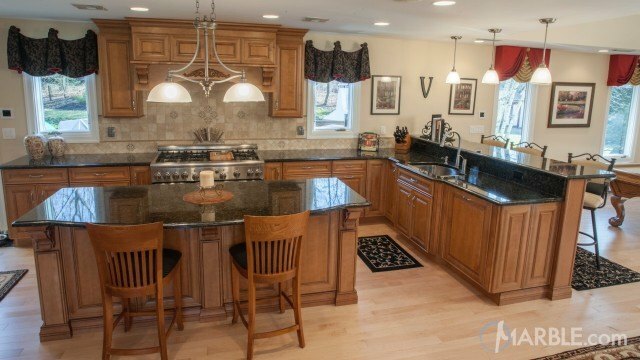 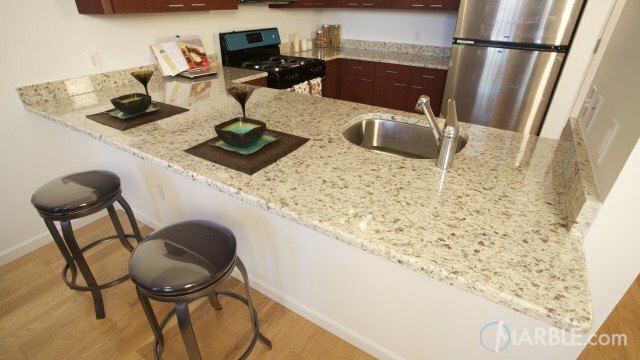 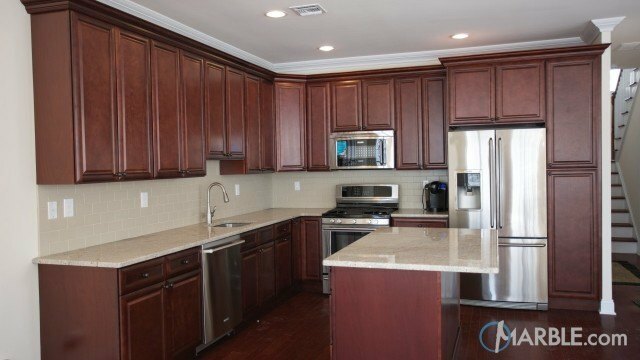 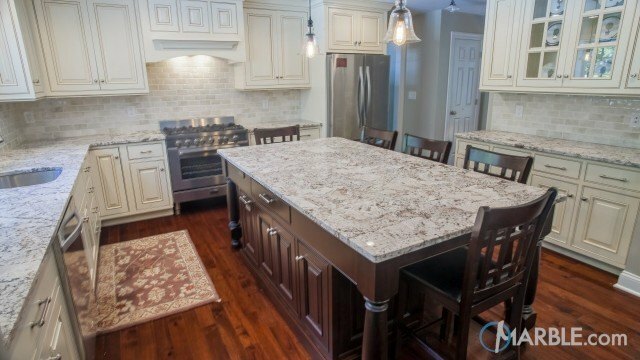 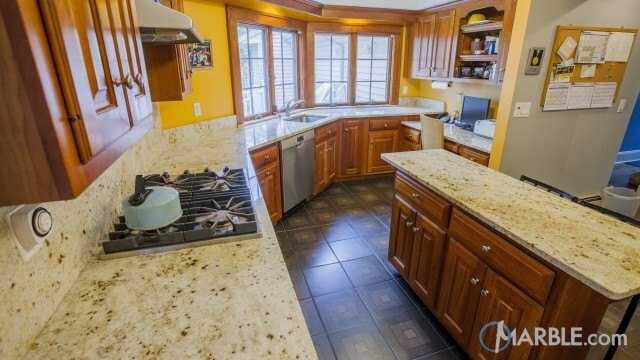 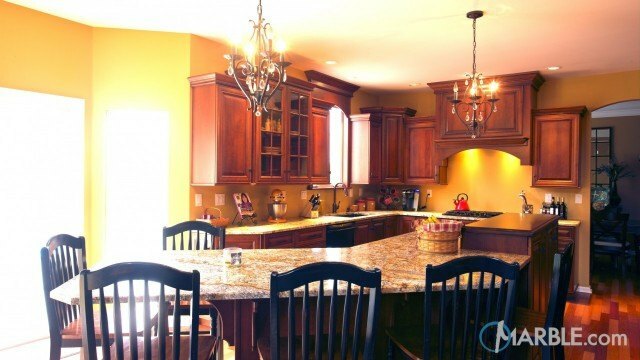 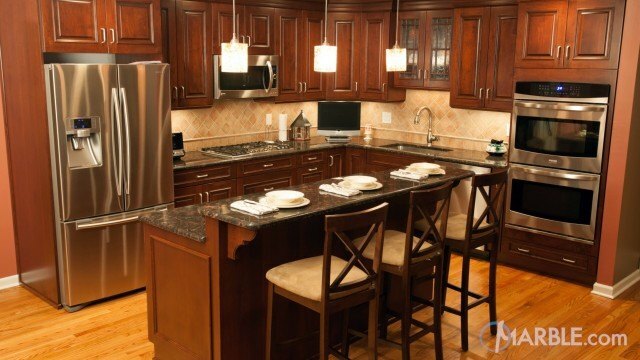 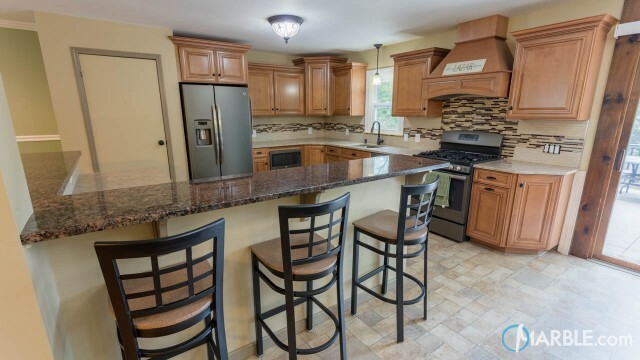 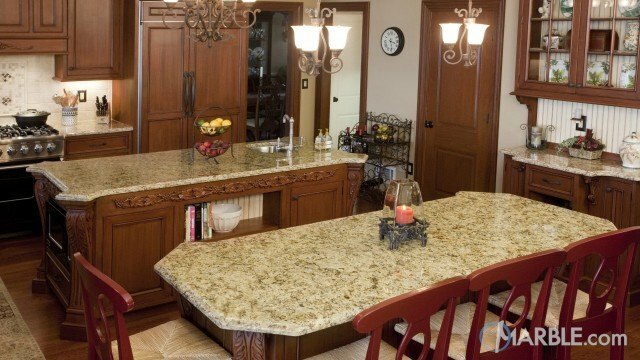 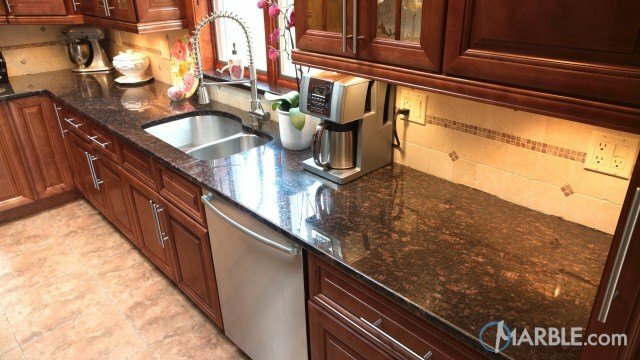 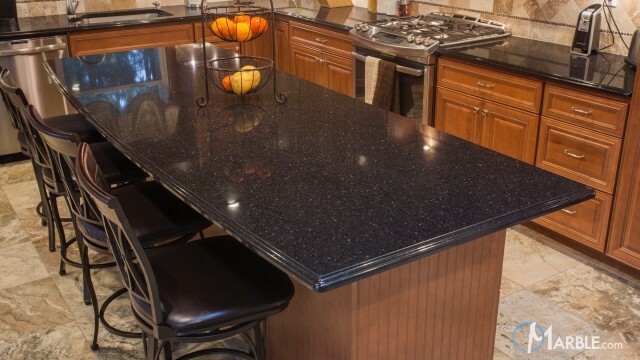 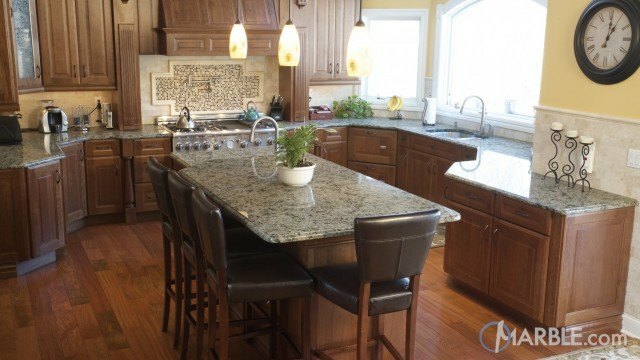 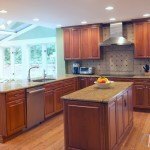 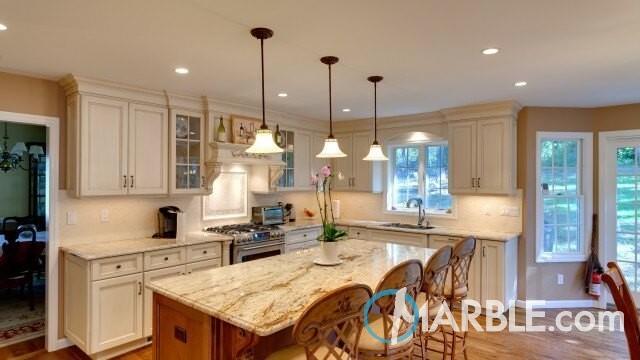 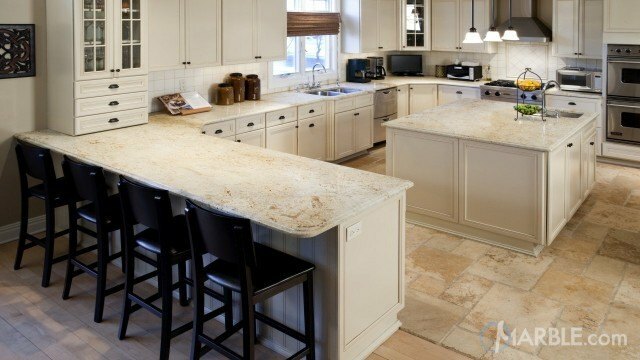 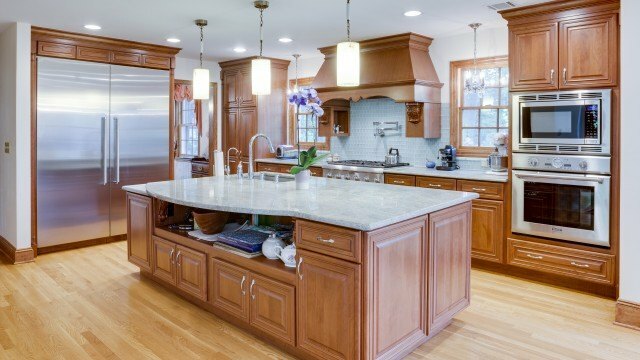 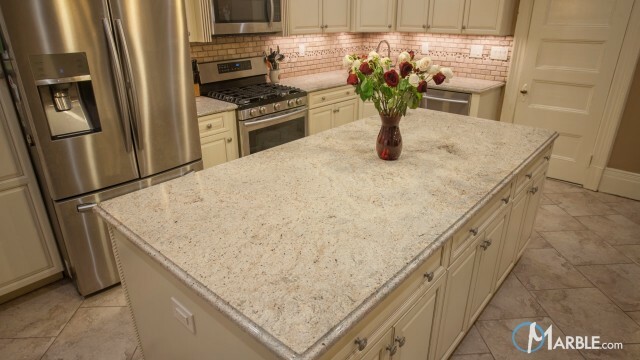 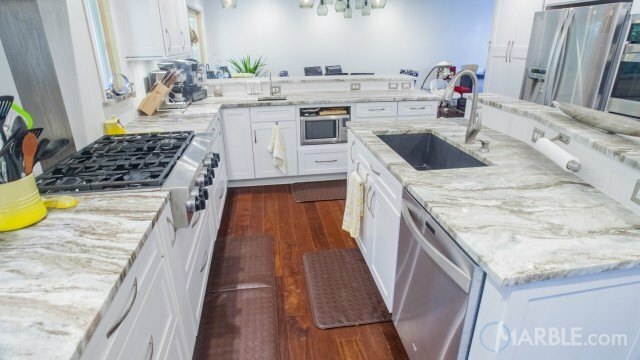 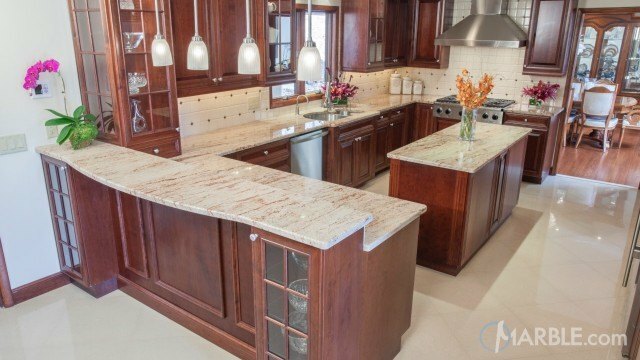 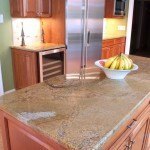 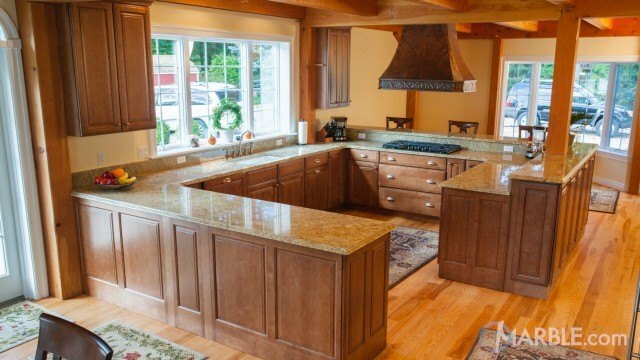 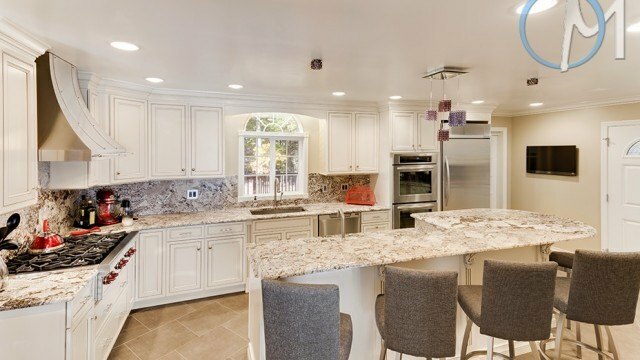 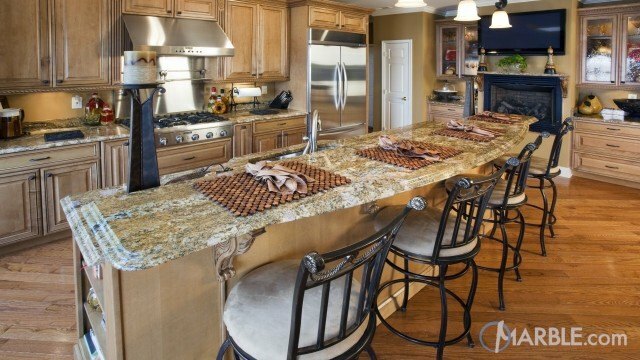 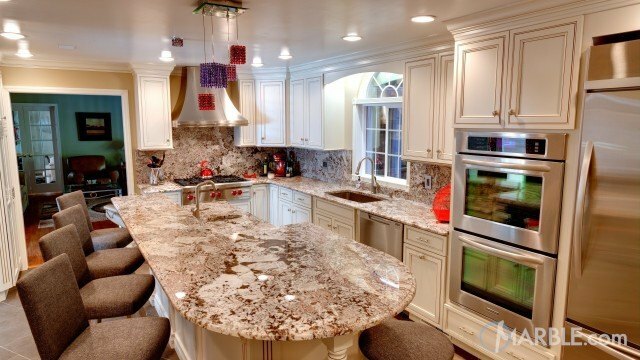 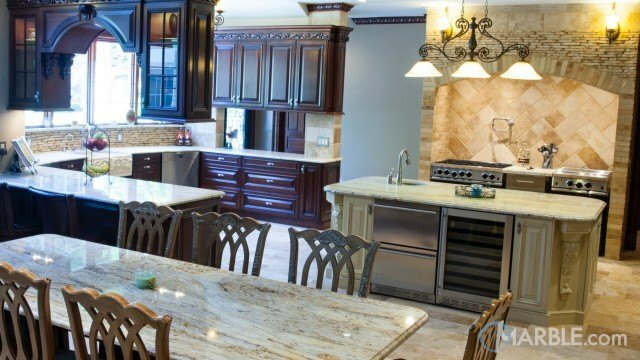 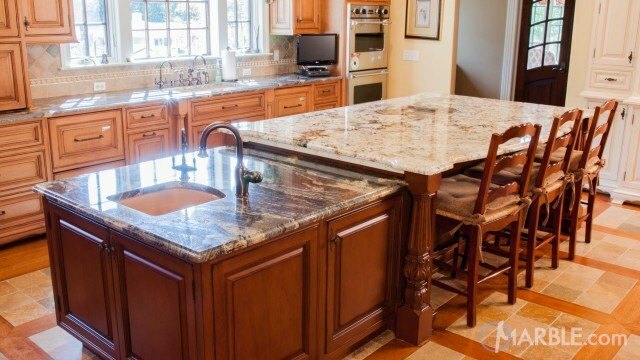 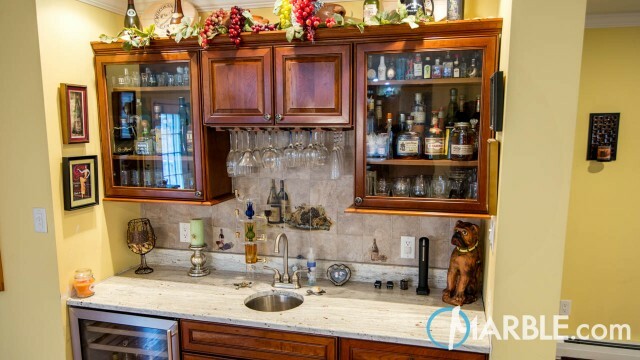 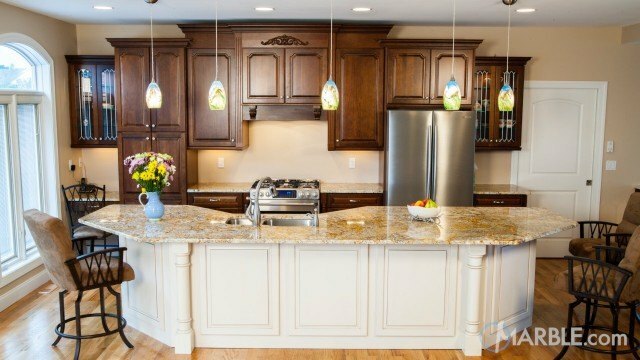 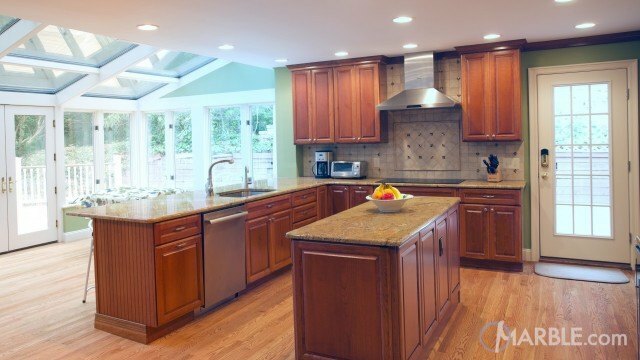 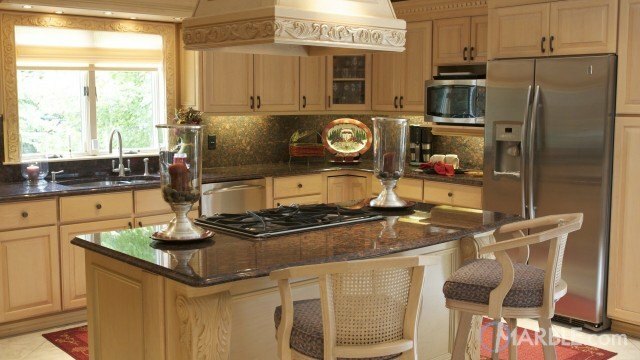 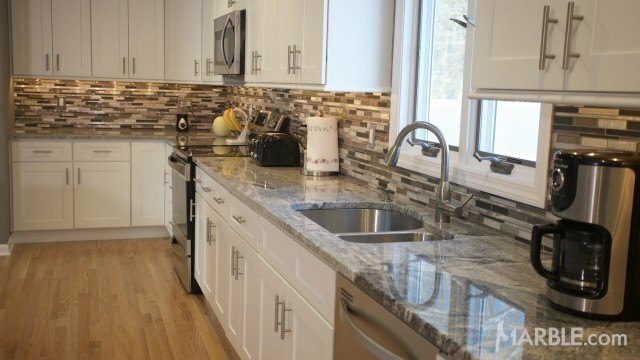 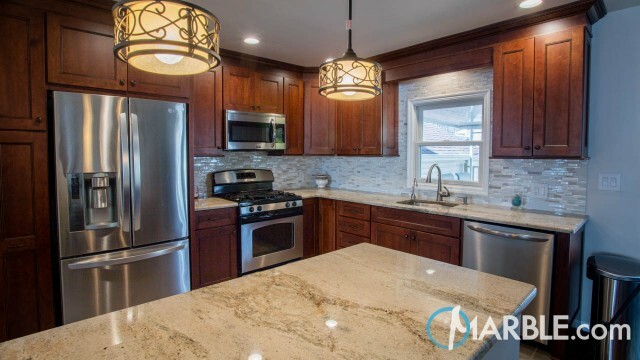 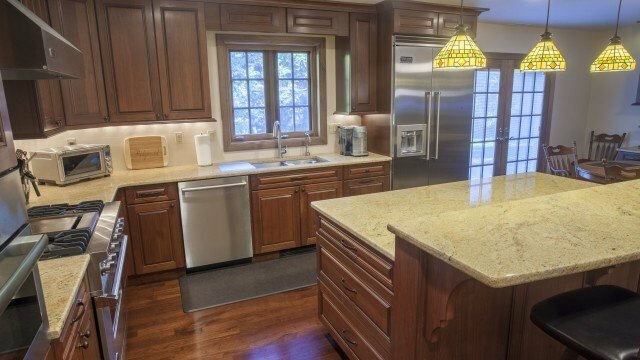 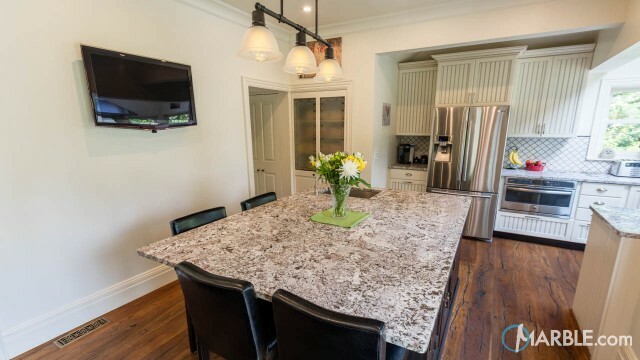 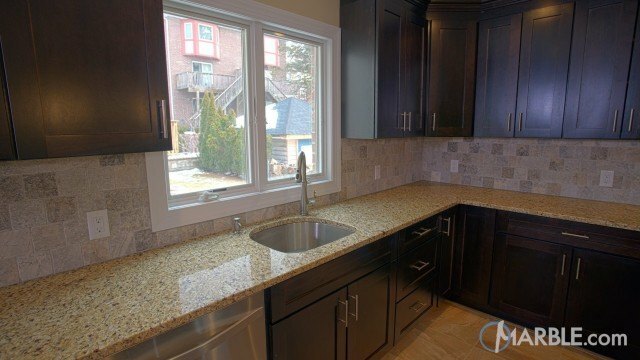 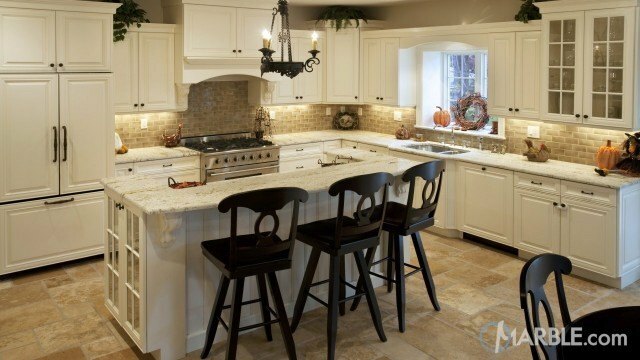 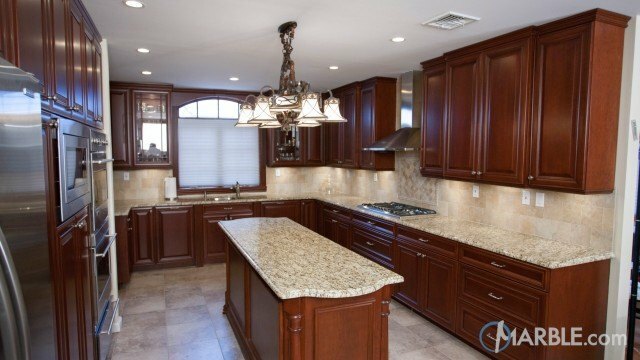 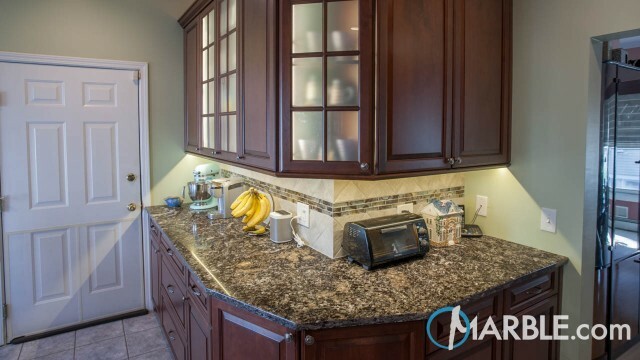 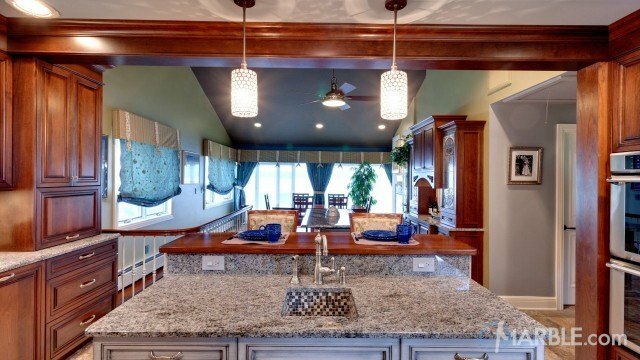 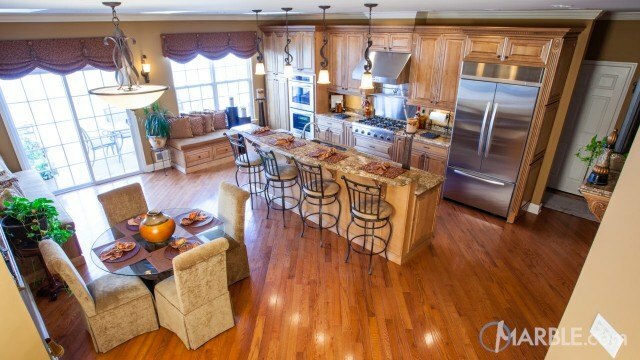 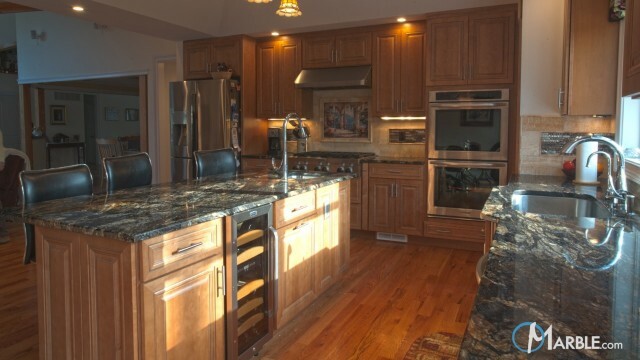 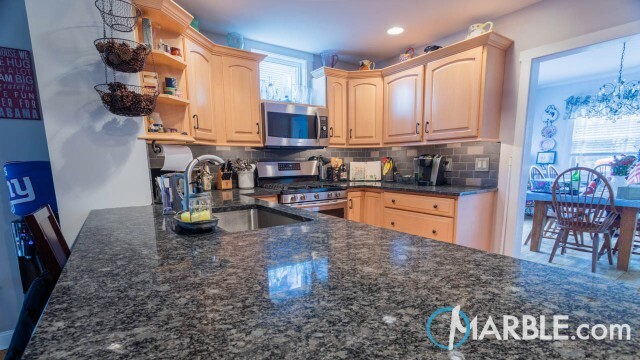 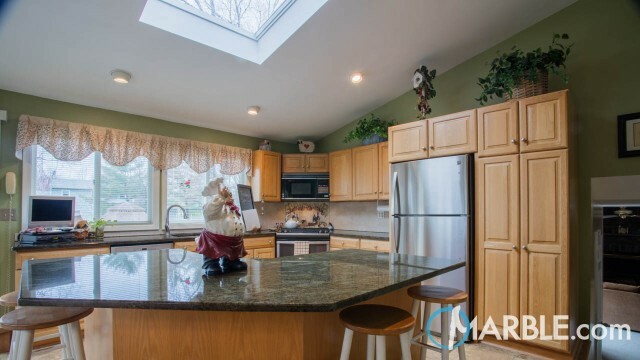 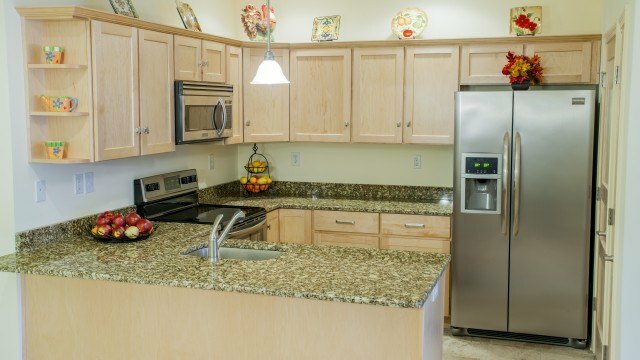 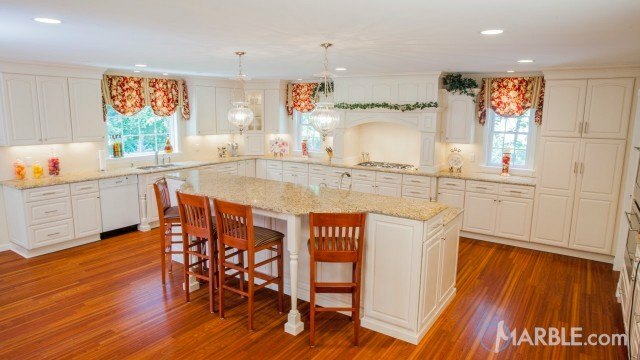 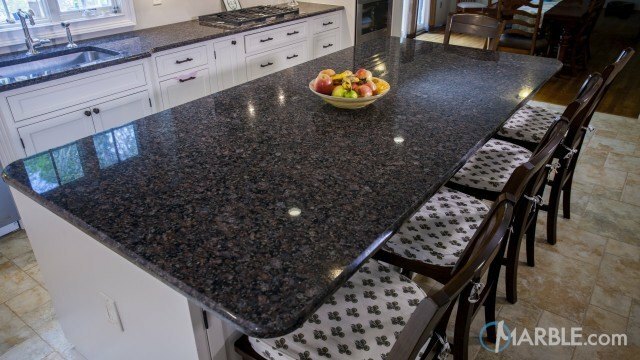 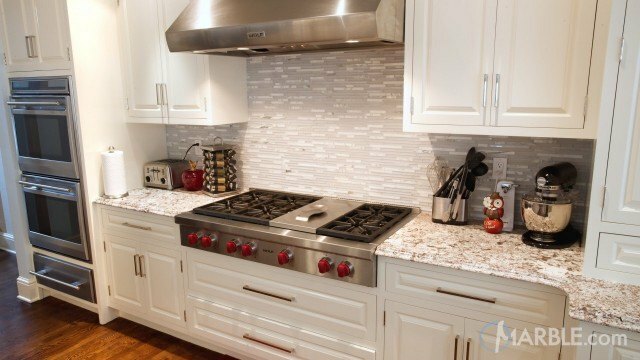 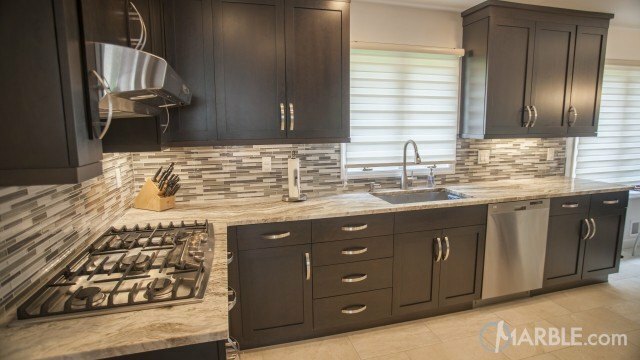 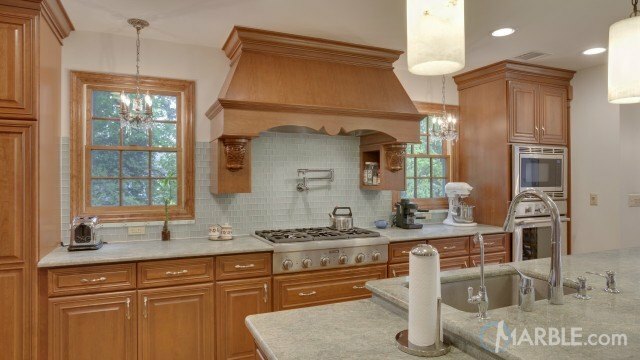 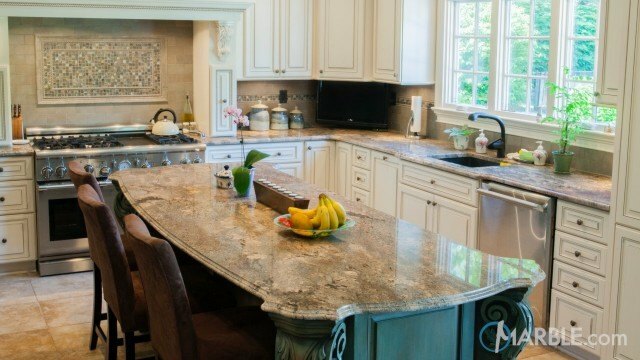 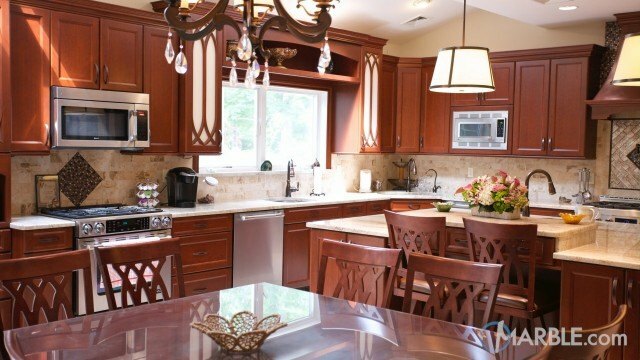 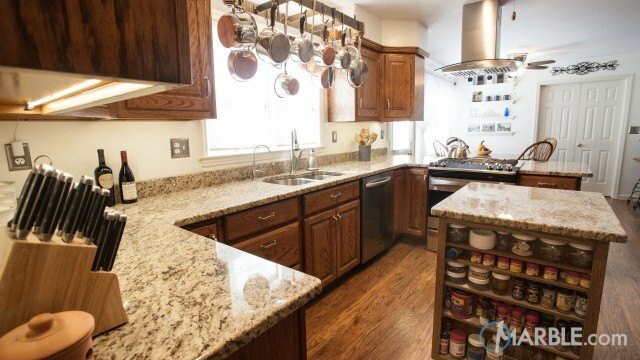 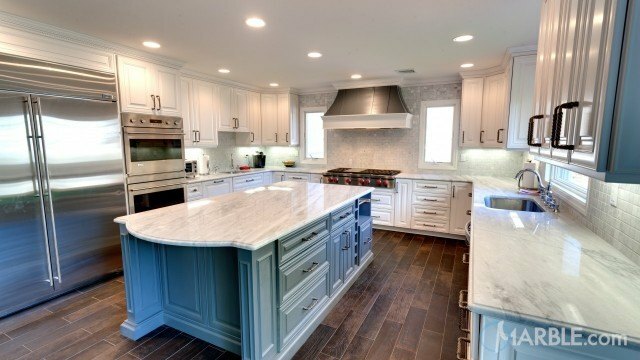 Tiberious granite counter tops with ¼ Round Edges is the showpiece of this traditional kitchen. 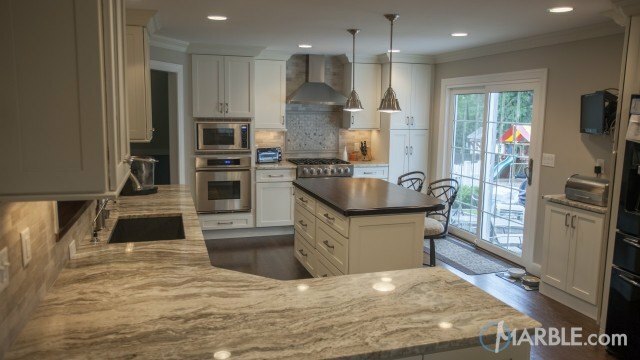 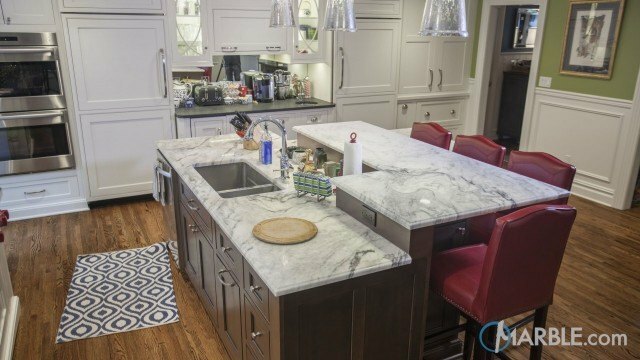 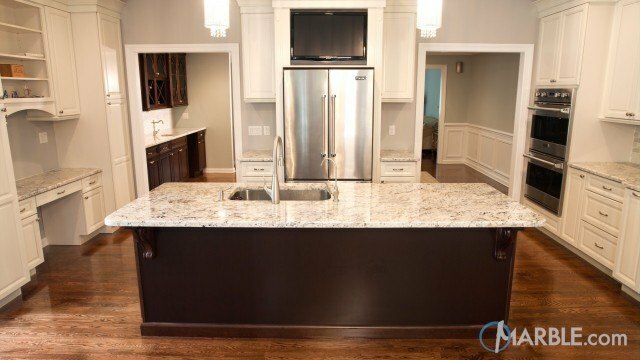 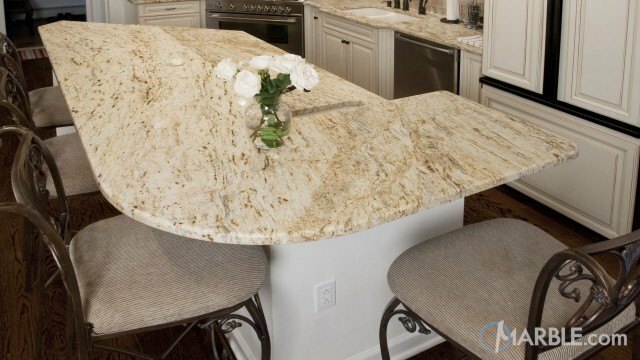 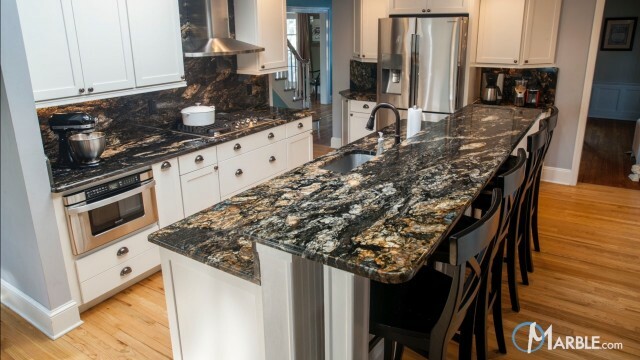 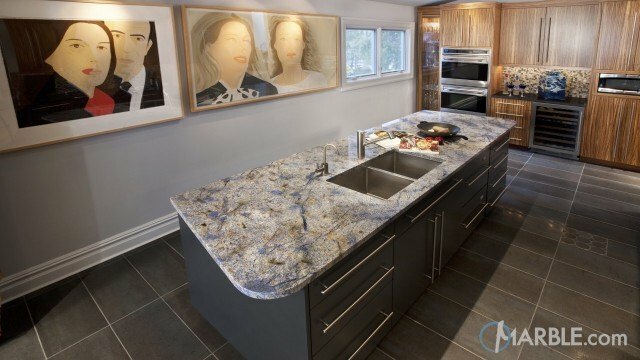 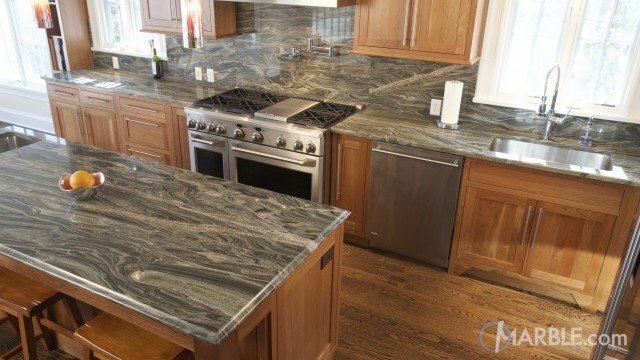 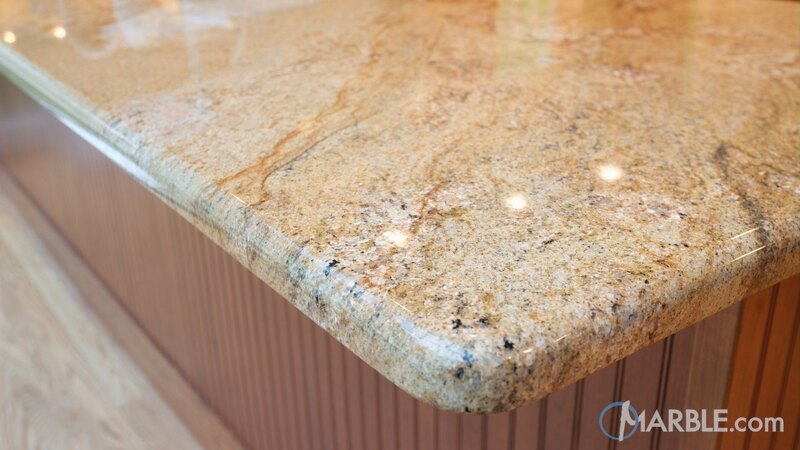 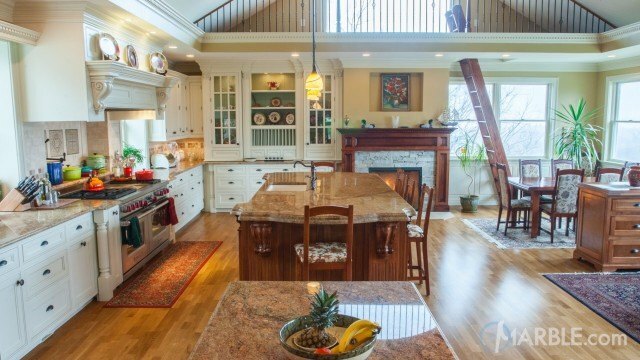 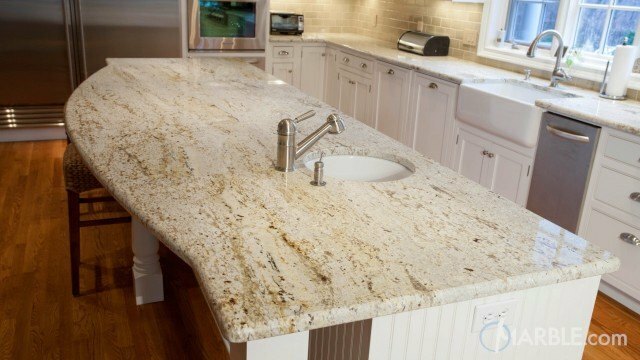 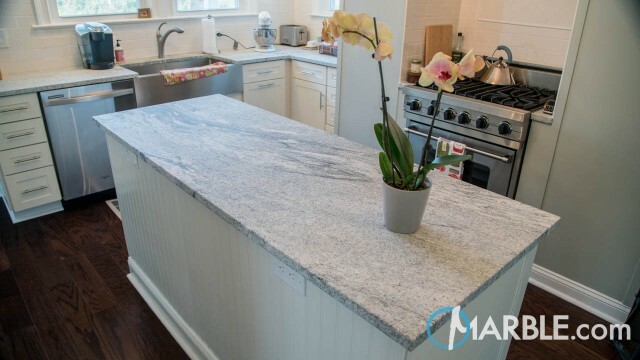 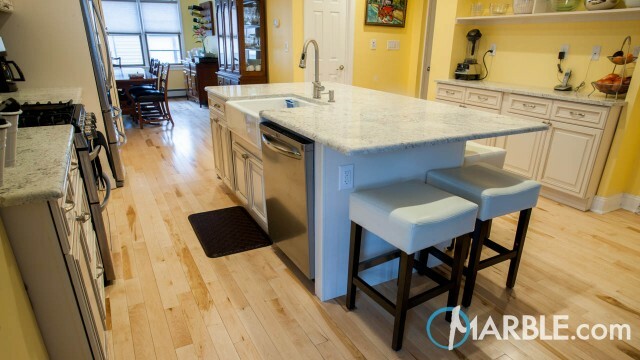 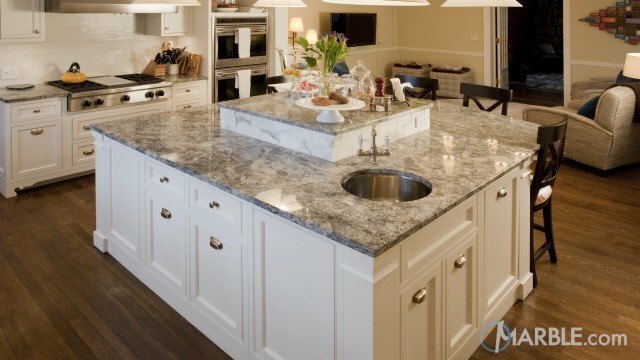 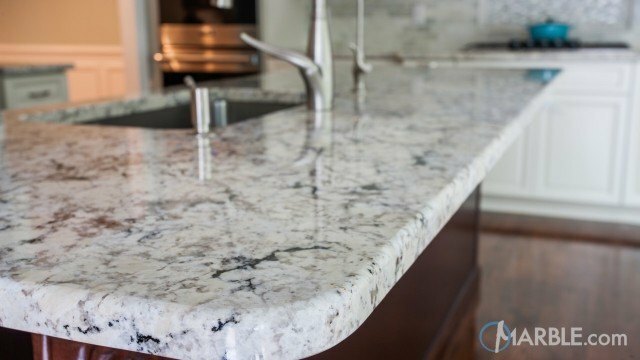 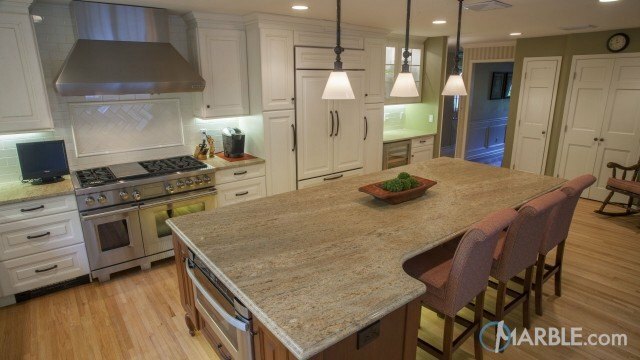 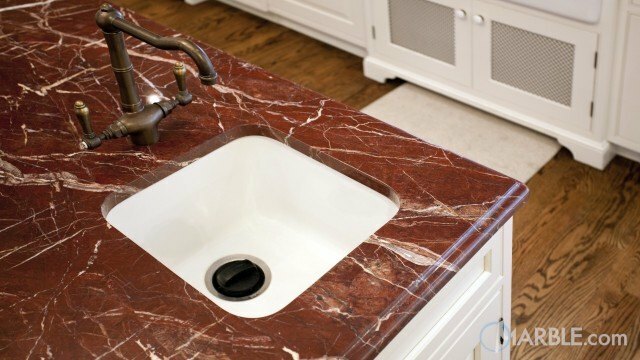 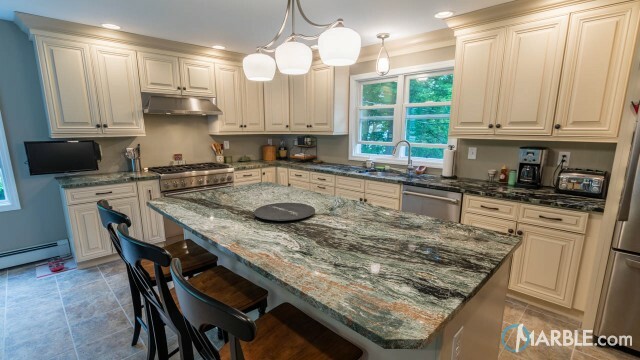 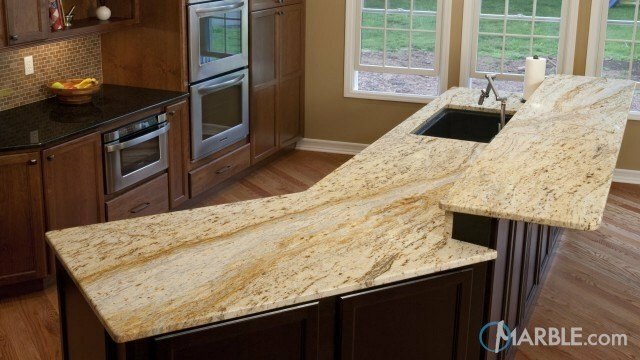 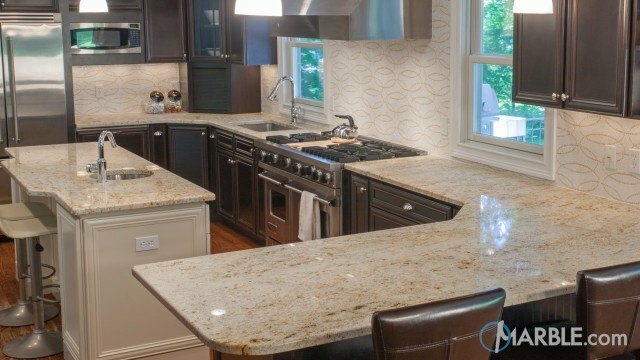 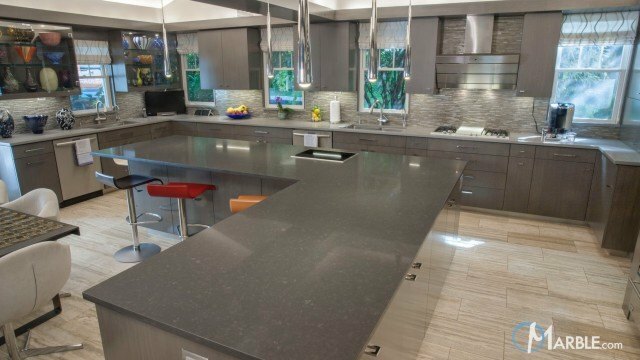 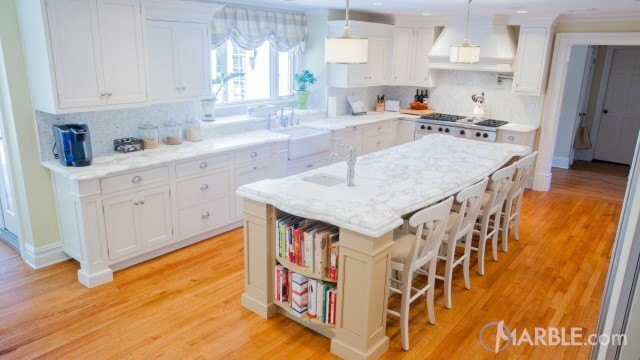 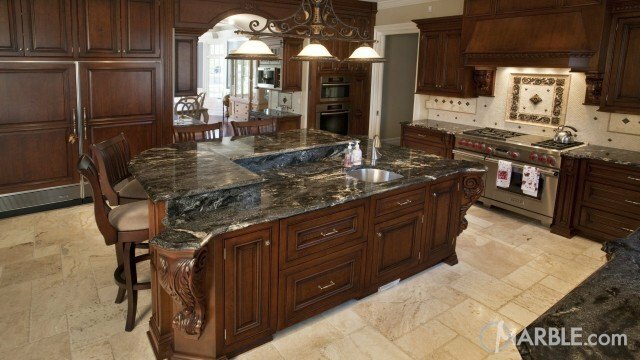 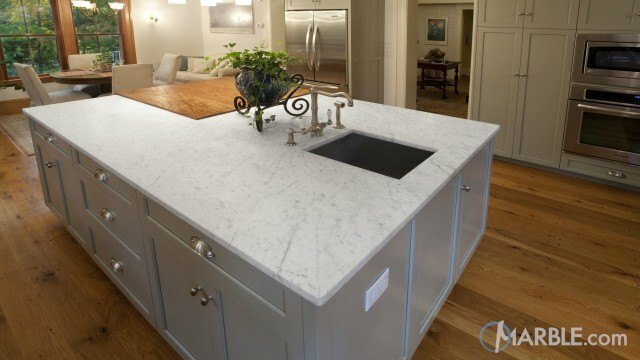 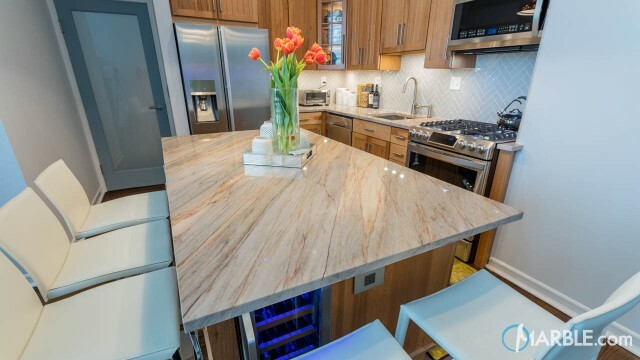 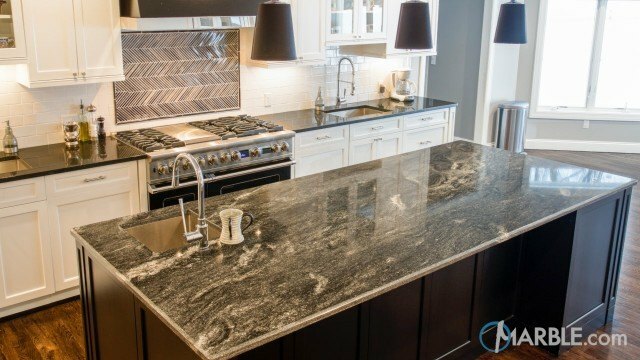 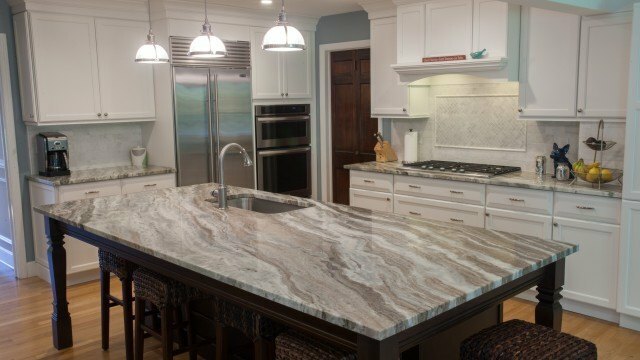 This lengthy island lets the true beauty of the granite shine though, allowing the natural veining to take the stage. 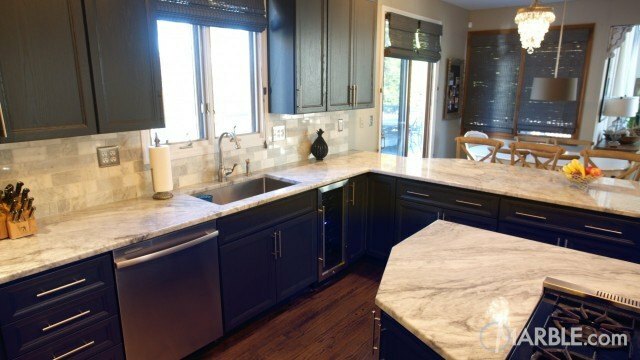 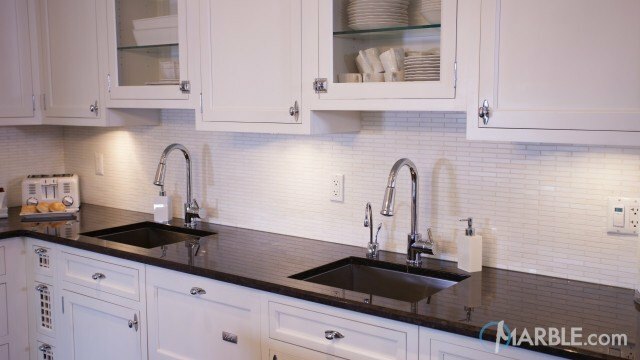 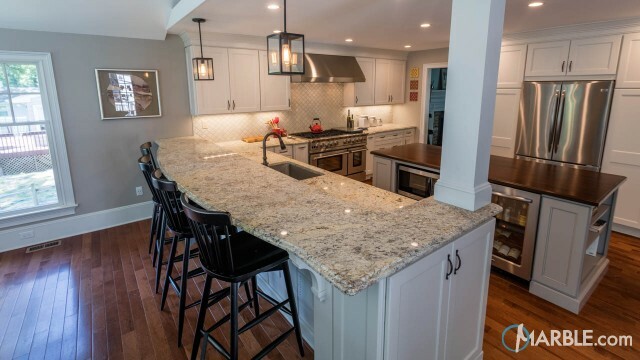 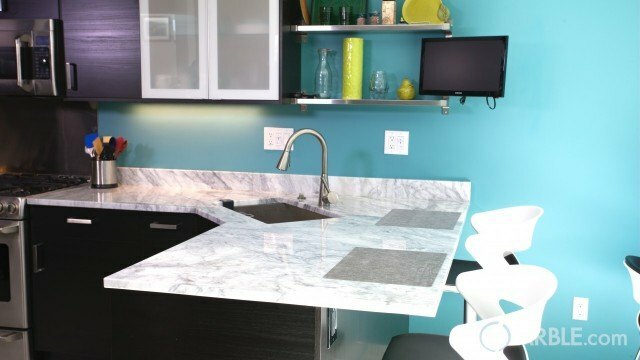 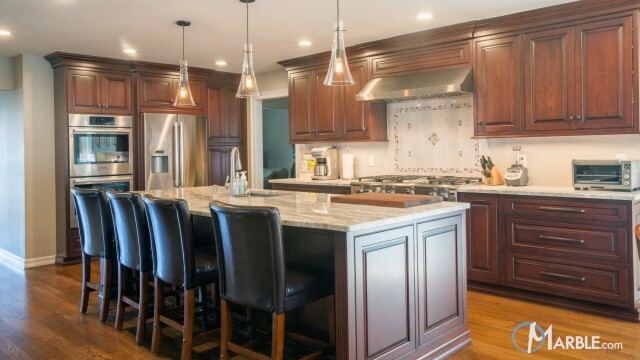 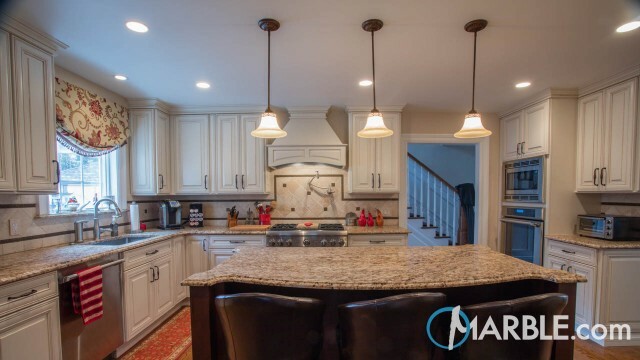 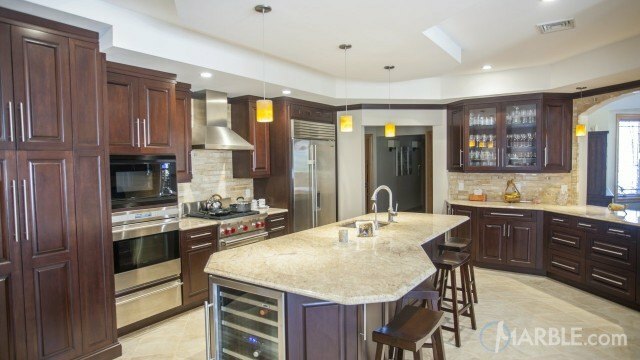 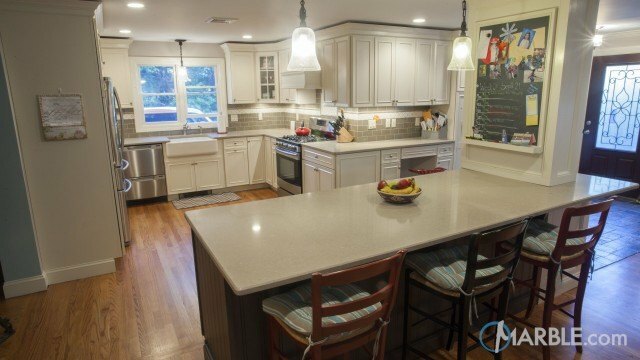 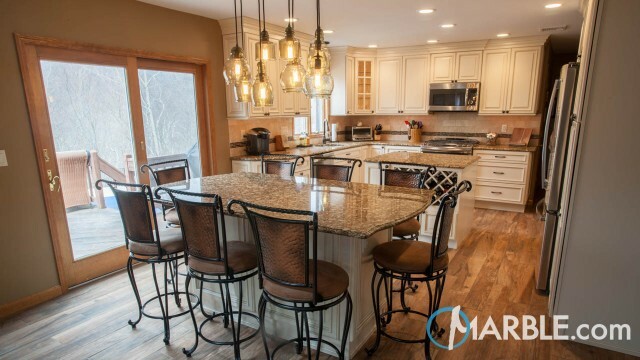 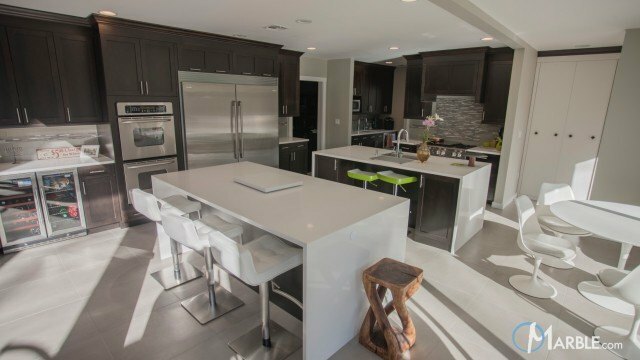 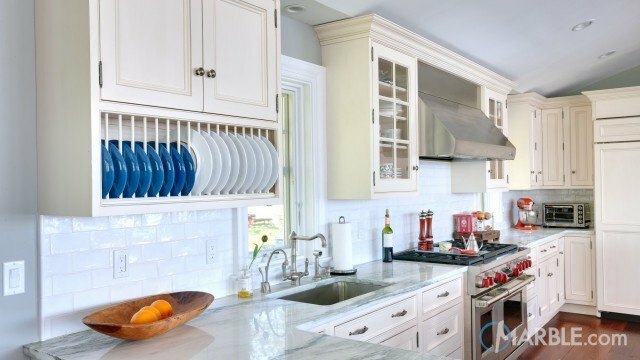 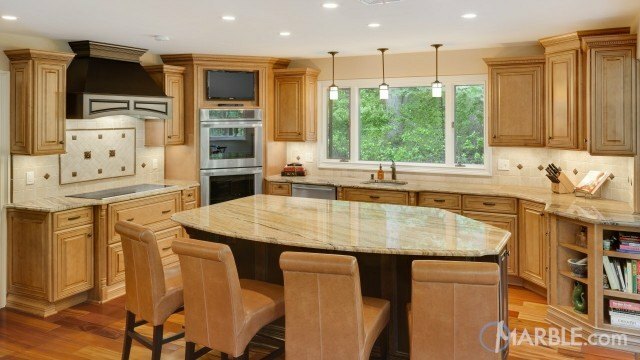 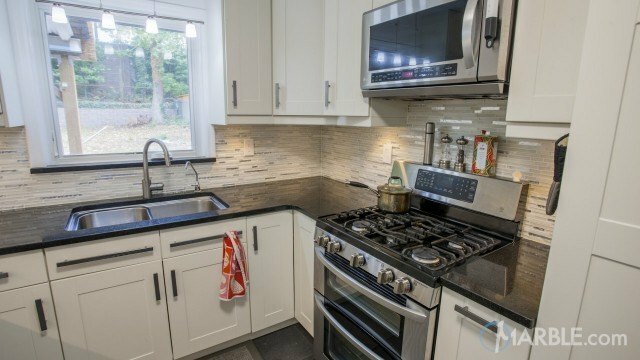 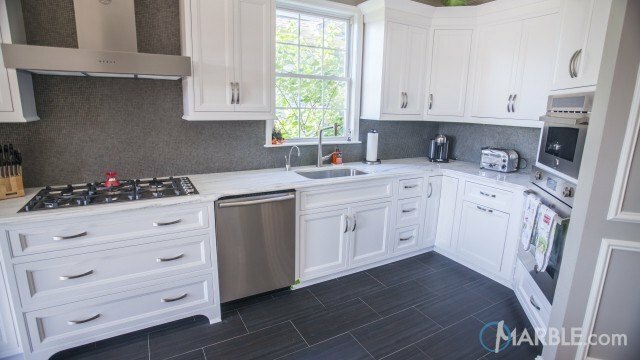 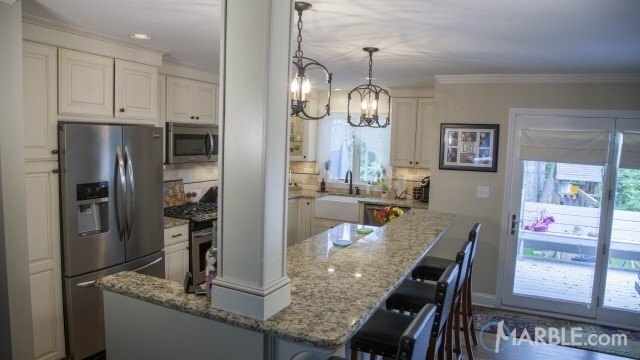 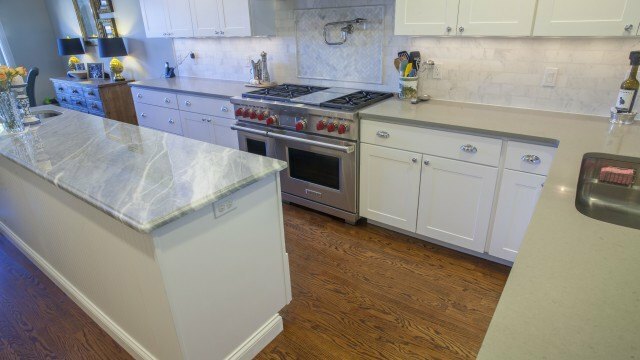 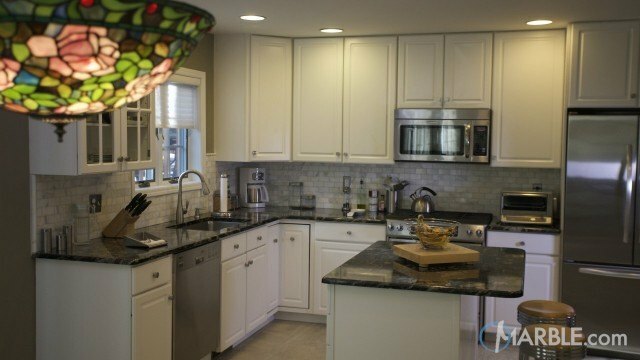 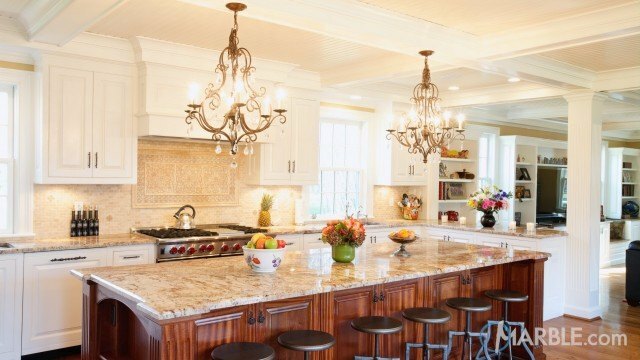 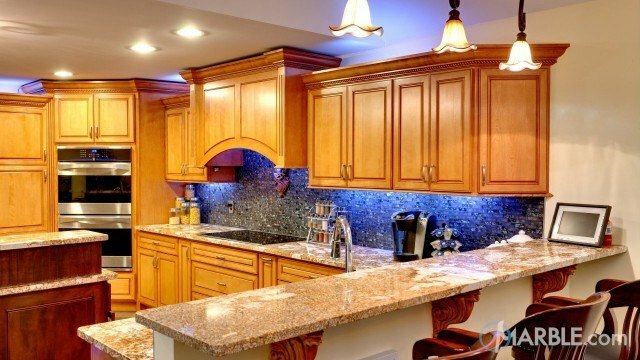 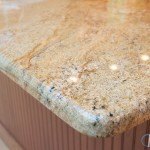 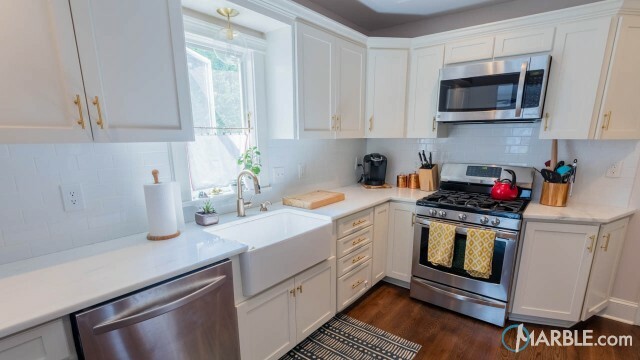 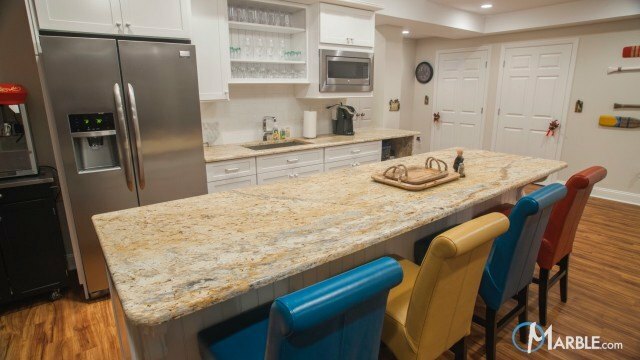 The back lights under the cabinets show how just a little accent lighting can change the appearance of a counter top by giving it a warm yellow hue.